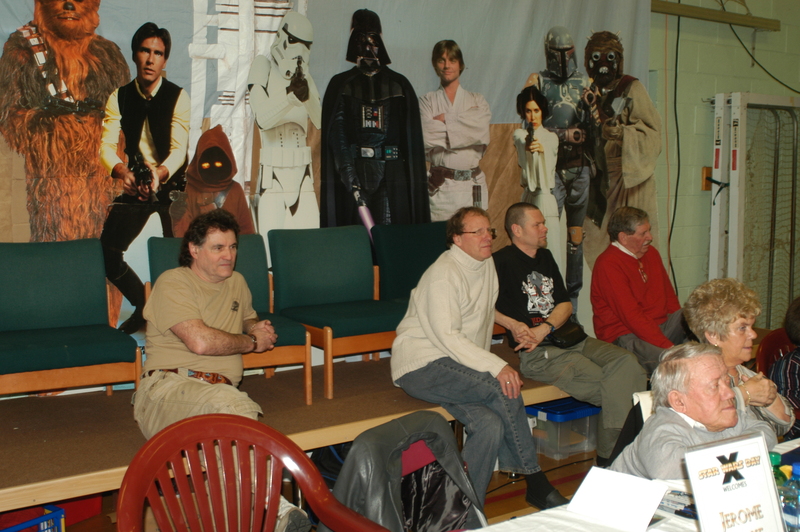 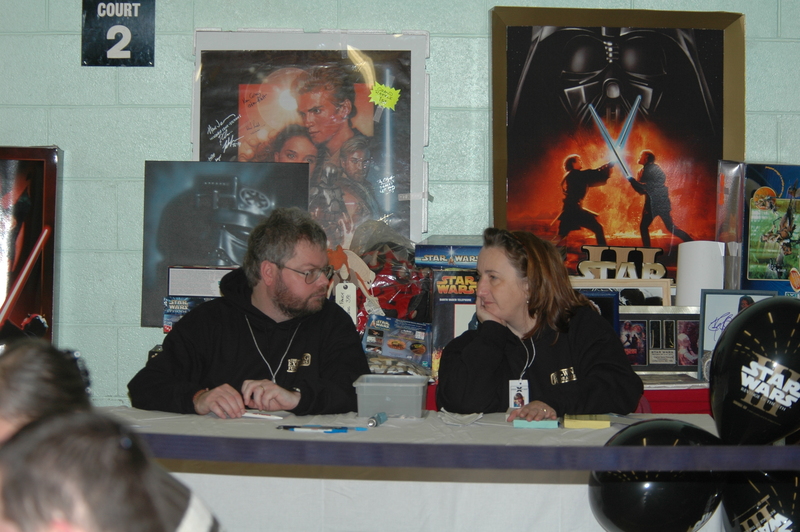 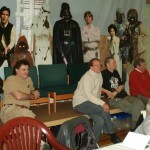 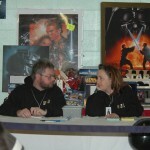 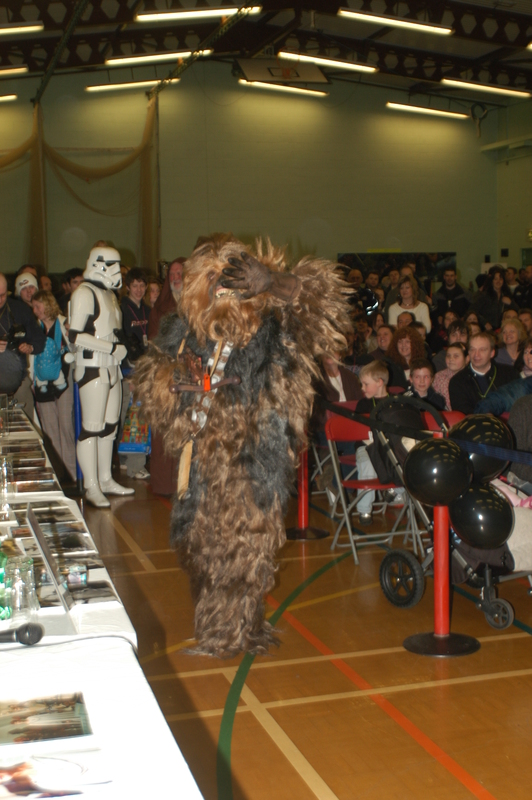 Star Wars Day X was the Exewing Fundraisers’ most ambitious event yet, in terms of the size of the venue, the number of special guests, and the fantastic display materials on show. 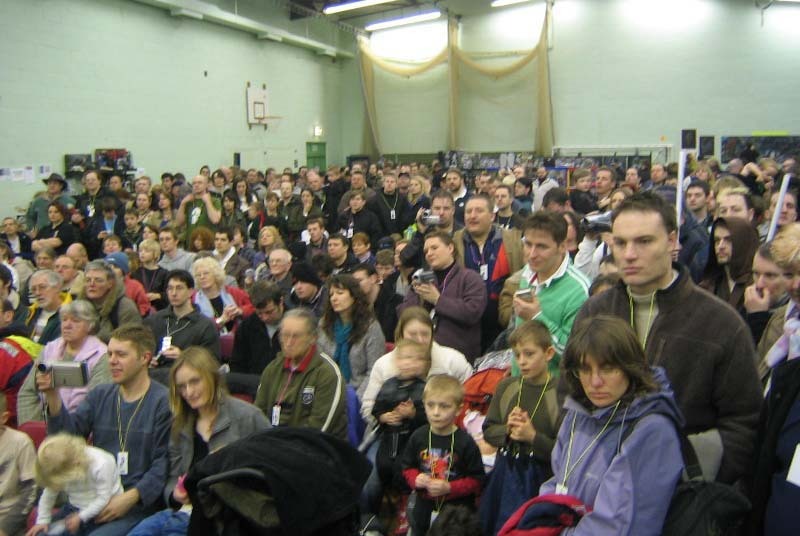 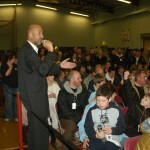 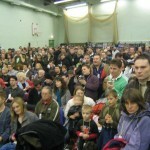 The event, held on 12th March 2006 to raise money for the British Heart Foundation, was too large for the sports centre that had been home to previous events, so the adjacent dance studio was also taken over for the day. 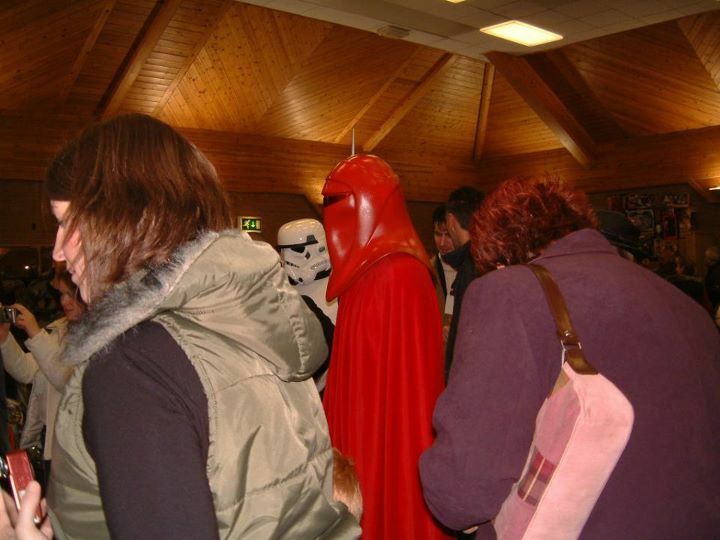 Star Wars fans from all over the country arrived early for the event, and the queue for tickets stretched around the building. 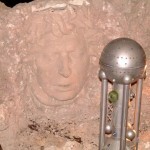 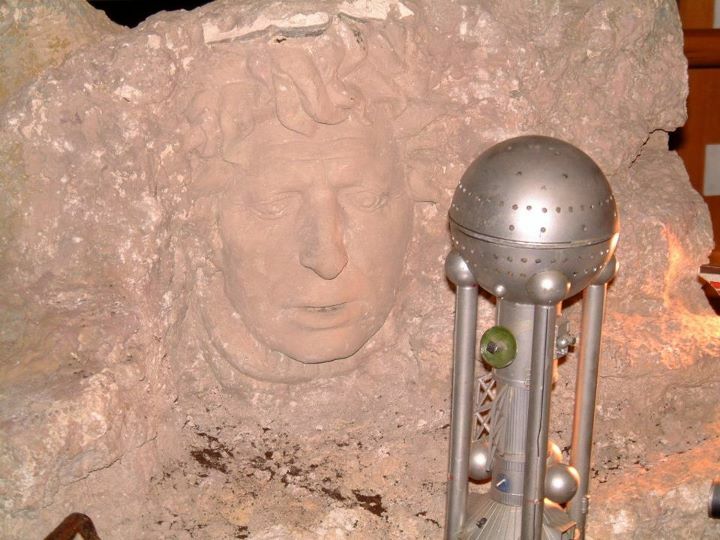 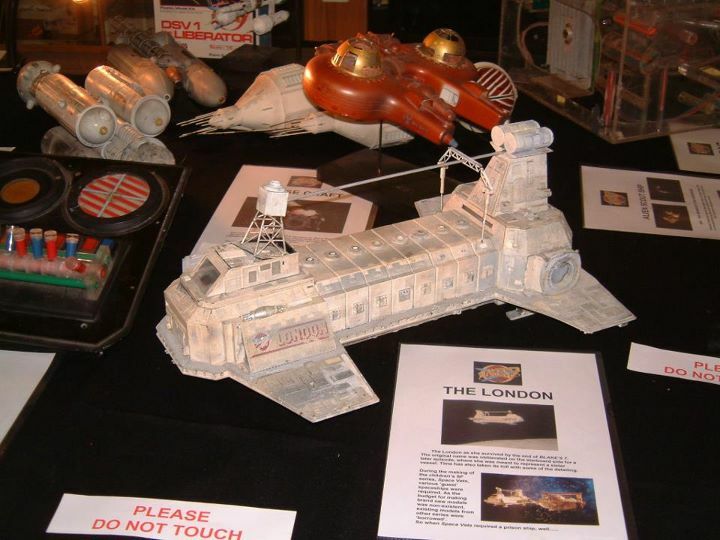 The guest list included behind the scenes personnel John Mollo, who had won the coveted Oscar award for costume design on the original Star Wars movie, and Mat Irvine, who built and operated classic props and spaceships in many BBC sci-fi and other productions. 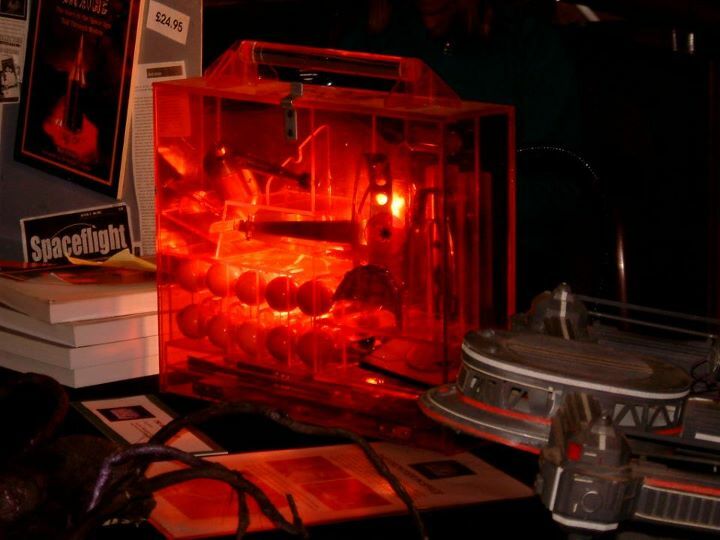 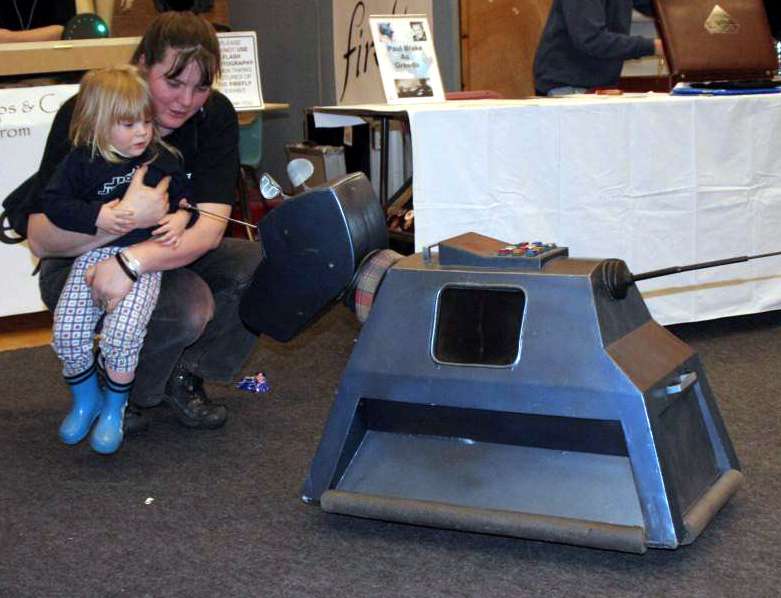 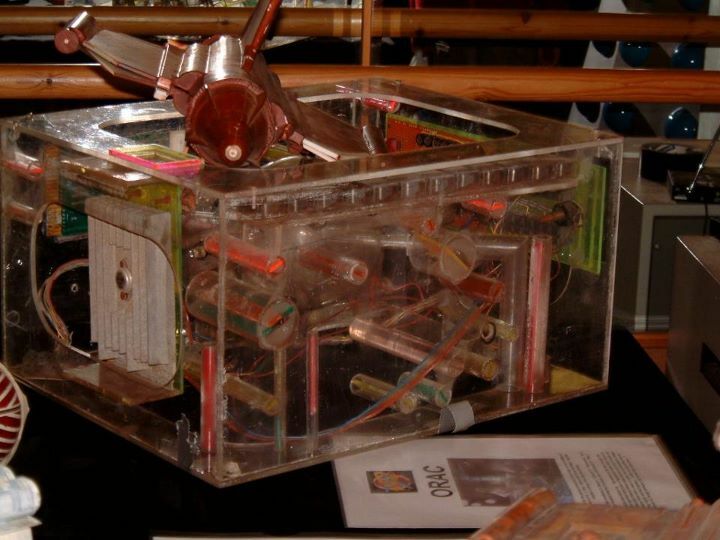 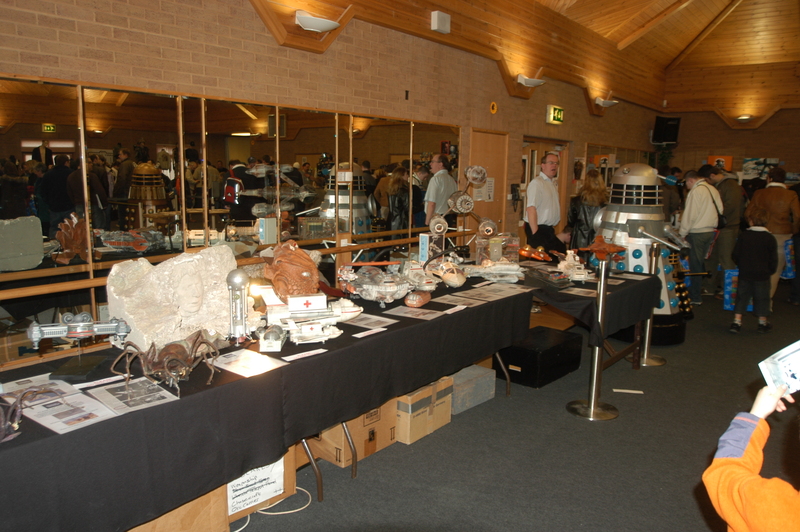 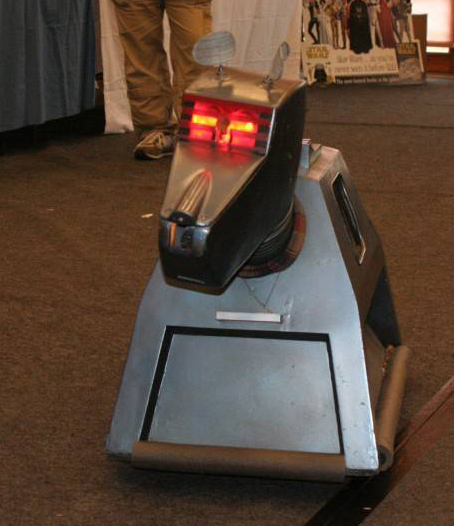 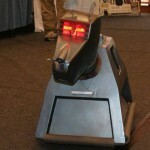 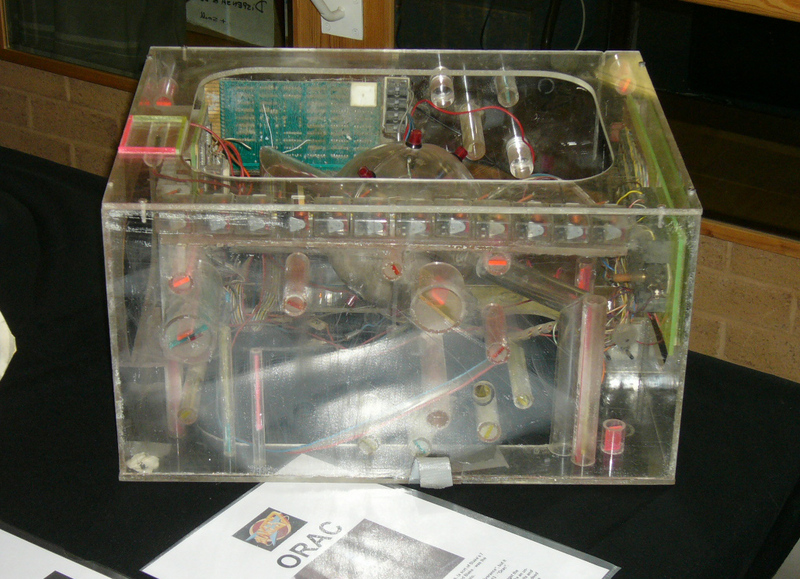 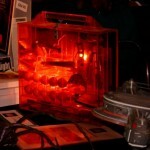 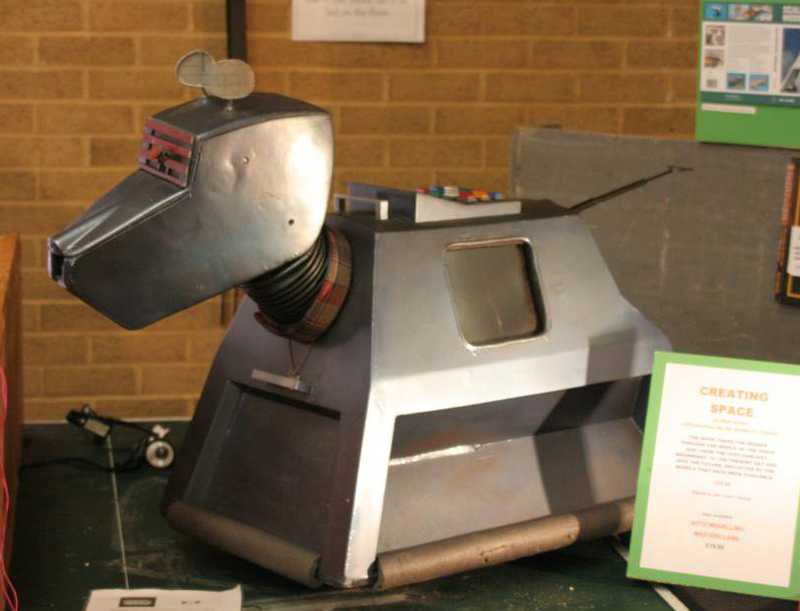 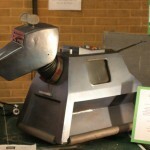 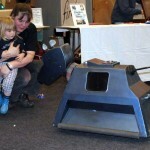 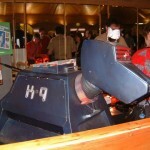 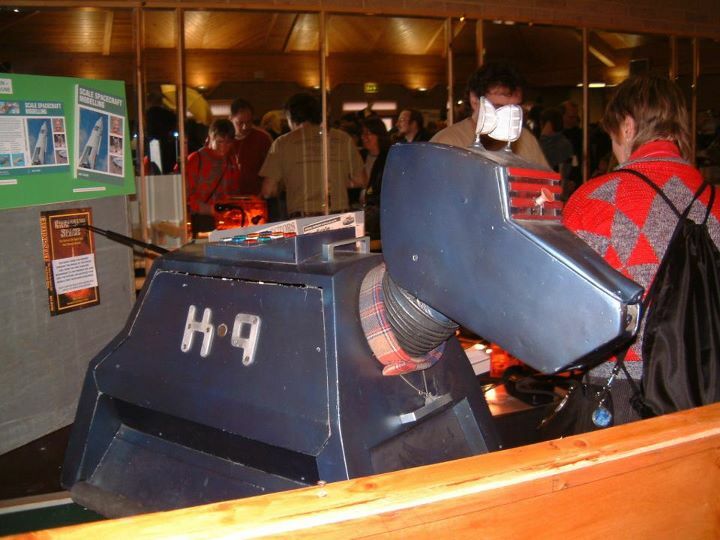 Mat brought an incredible display including the original Liberator spaceship and Orac computer from Blakes 7, and K9 from Doctor Who, who thrilled the crowds when he went walkies around the venue! 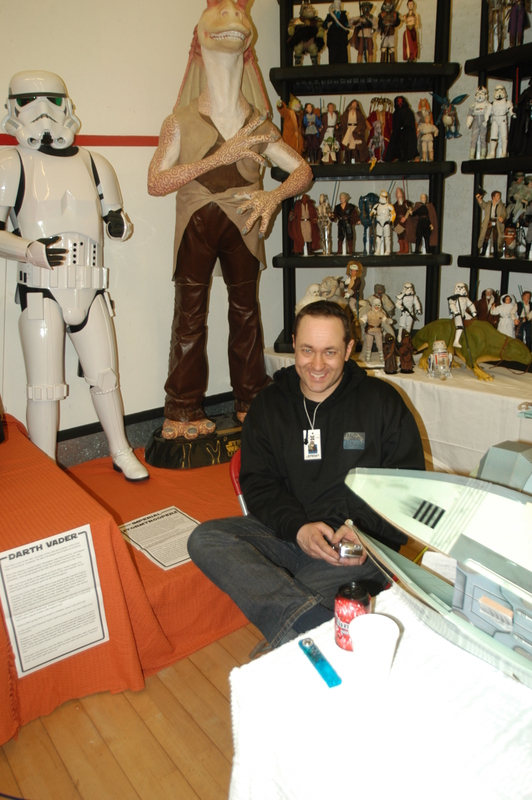 Star Wars illustrator Hans Jenssen, who had worked on the Incredible Cross-Sections books, was also showing his work and sketching for fans. 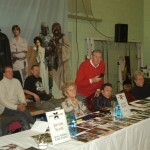 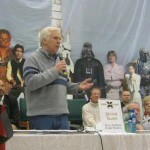 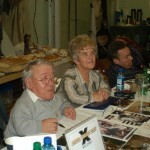 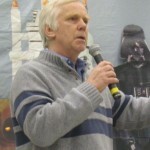 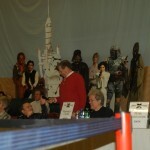 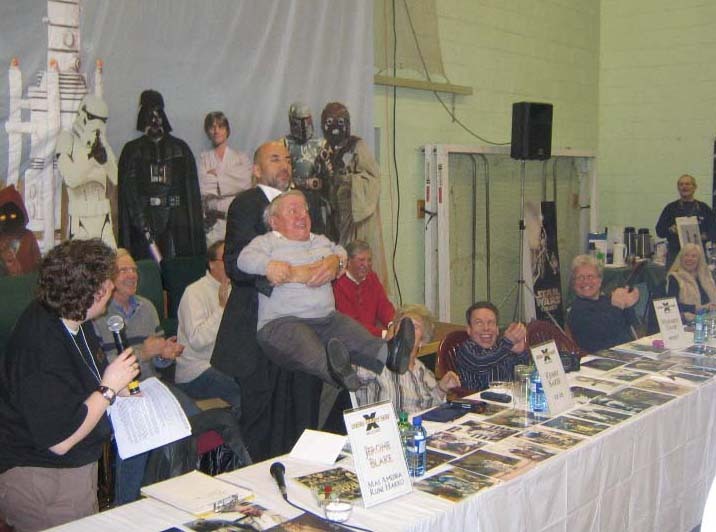 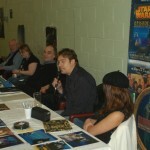 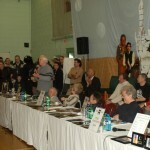 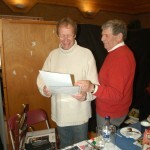 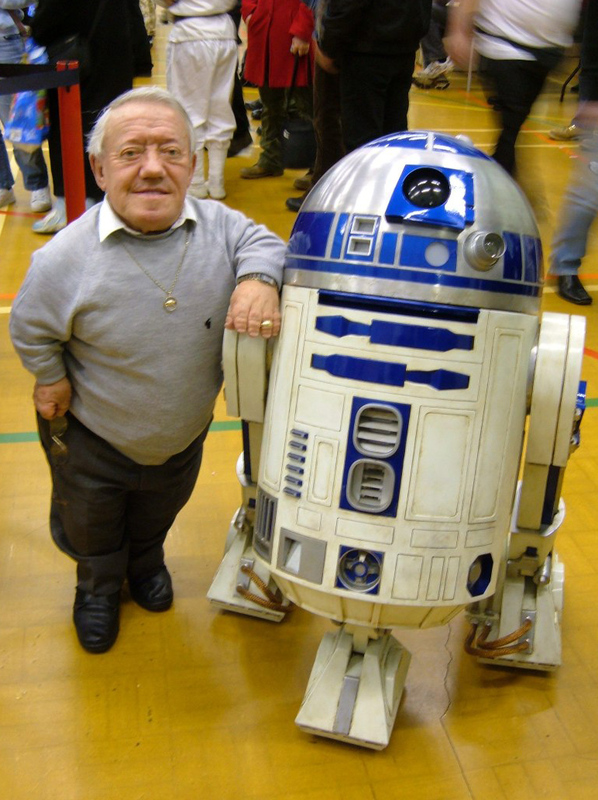 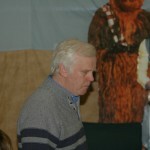 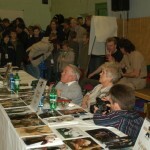 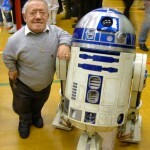 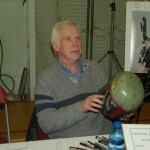 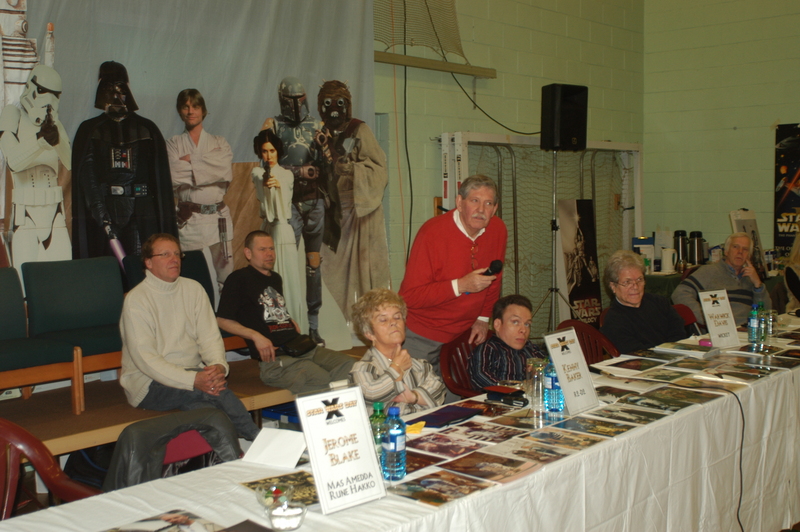 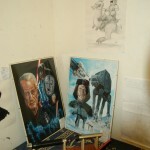 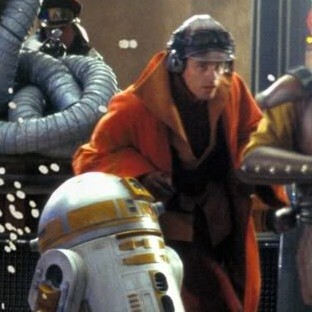 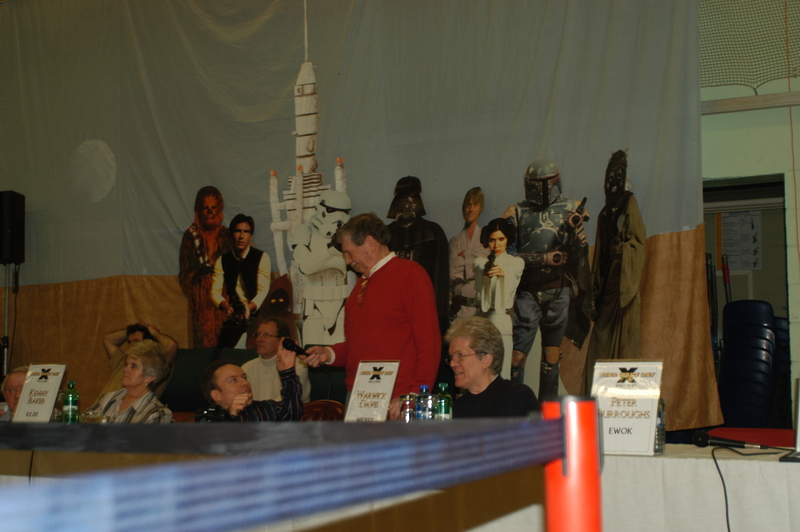 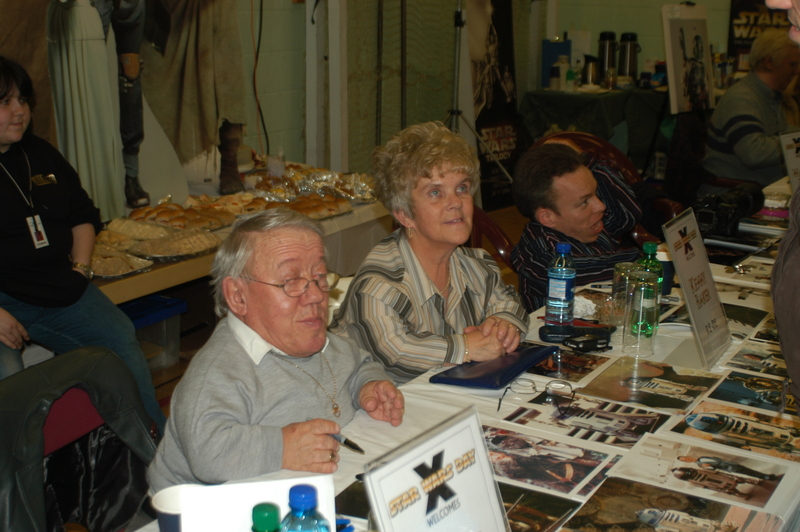 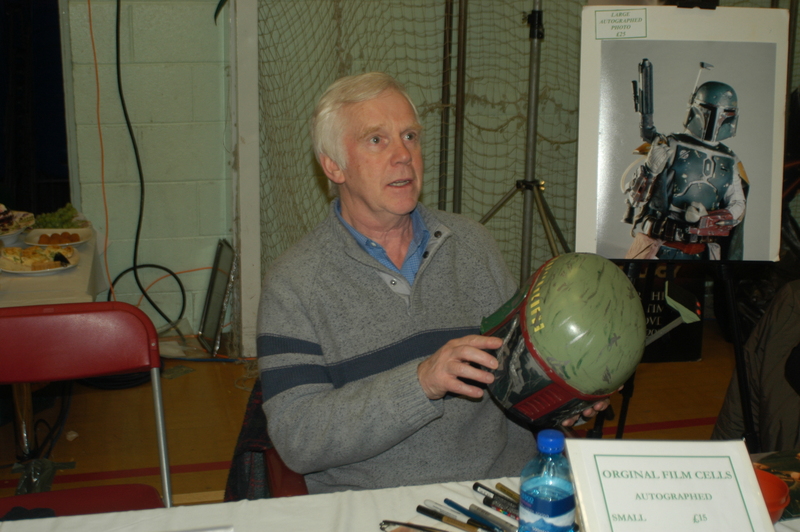 Stars from the movies included Kenny Baker who played R2-D2, and Jeremy Bulloch, who portrayed bounty hunter Boba Fett. 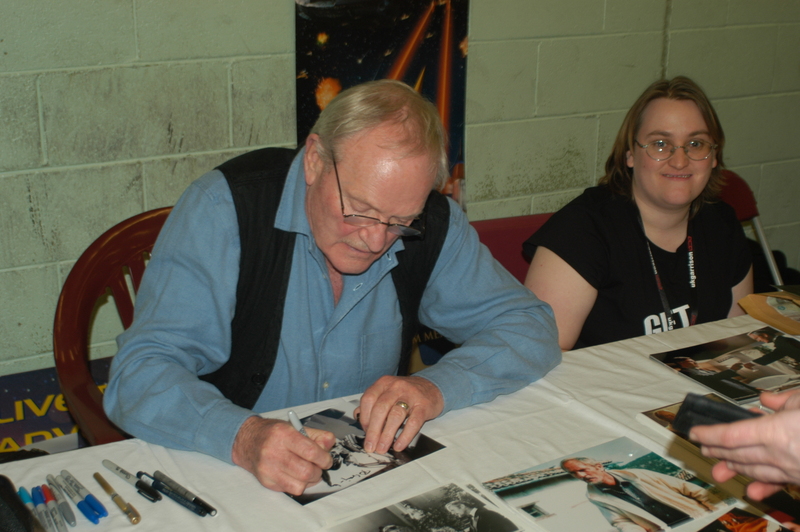 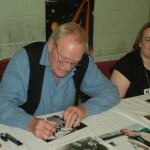 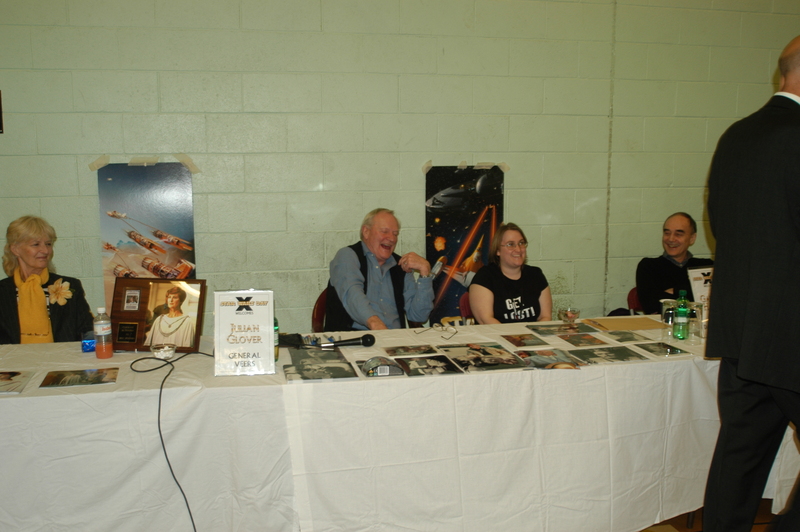 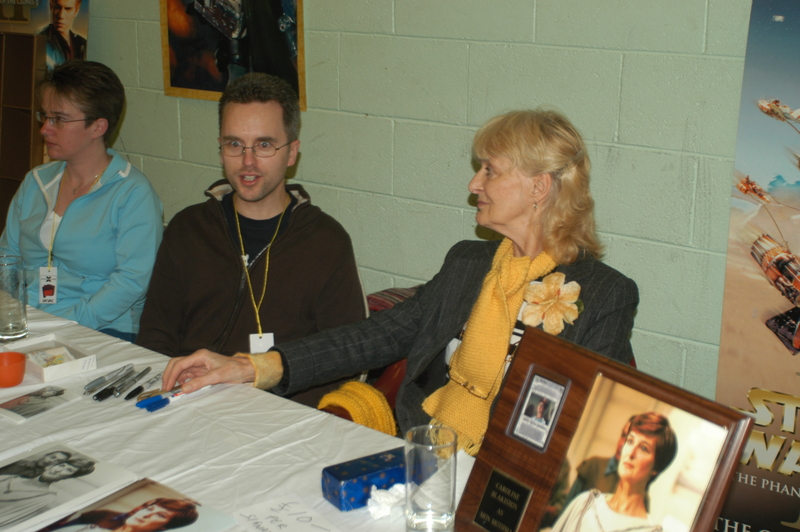 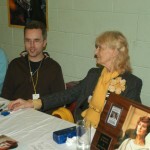 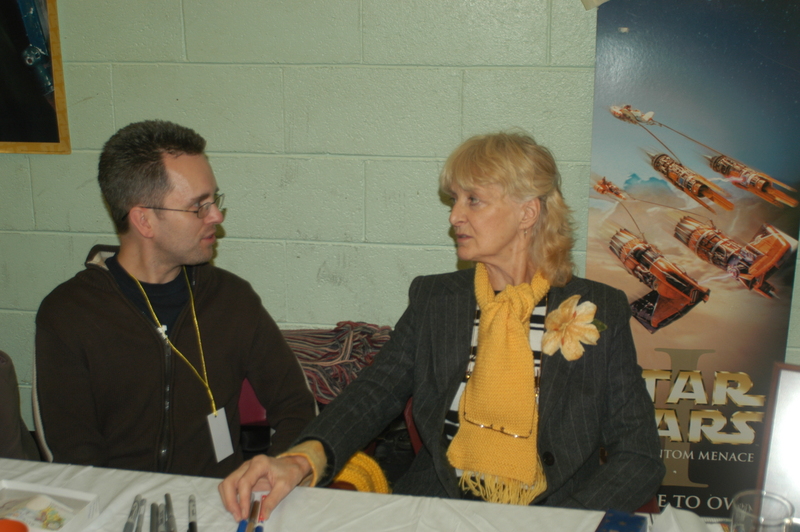 Rebel forces were well represented by Caroline Blakiston (Mon Mothma) and Garrick Hagon (Biggs Darklighter), whilst from the Imperial ranks came General Veers, portrayed by Julian Glover. 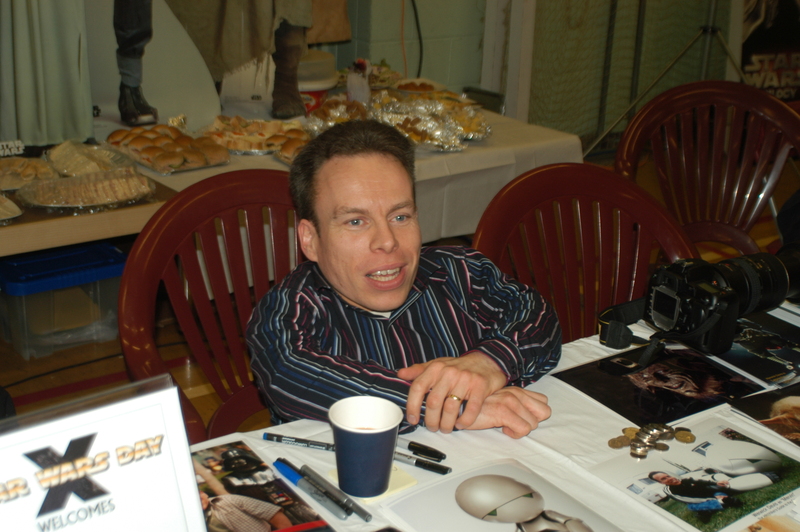 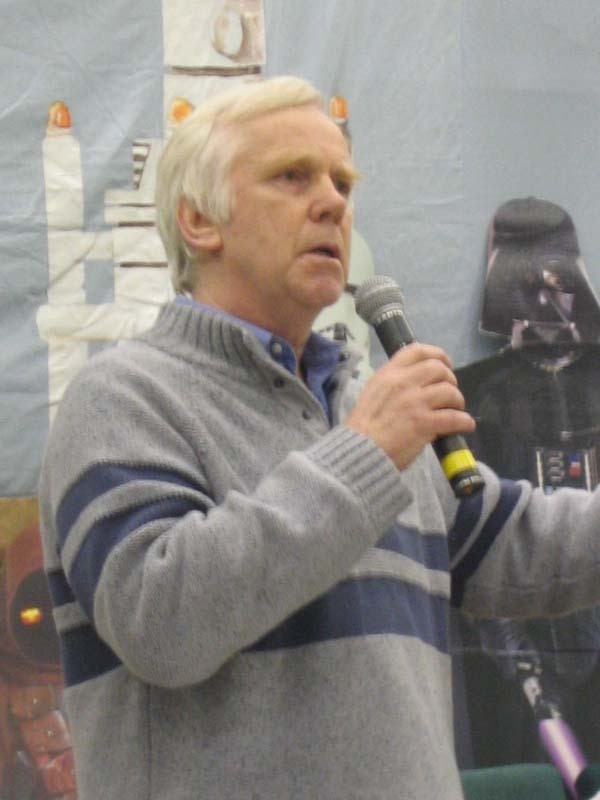 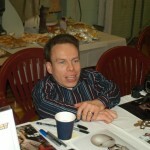 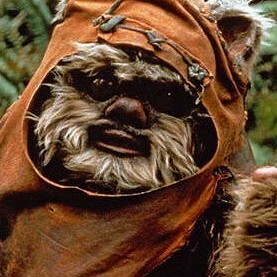 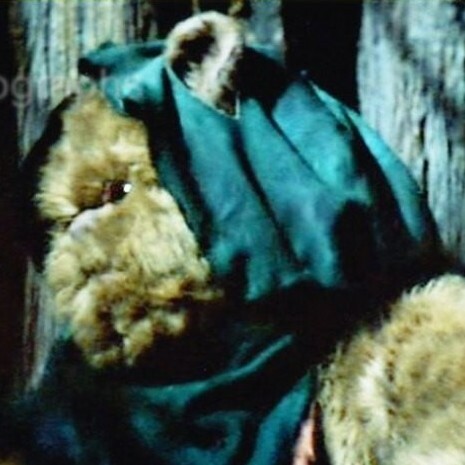 Actors who had played alien species included Paul Blake (Greedo), and Ewoks Warwick Davis and Peter Burroughs. 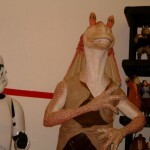 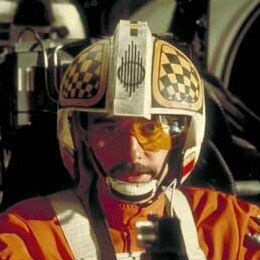 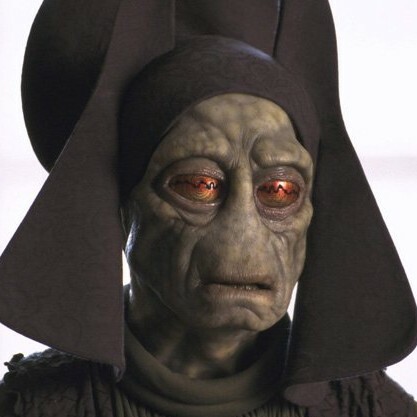 From the Prequel trilogy came Jerome Blake who played numerous characters including Rune Haako and Mas Amedda, and Christian Simpson, who was fighter pilot Bravo 6. 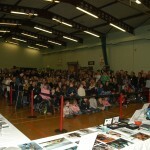 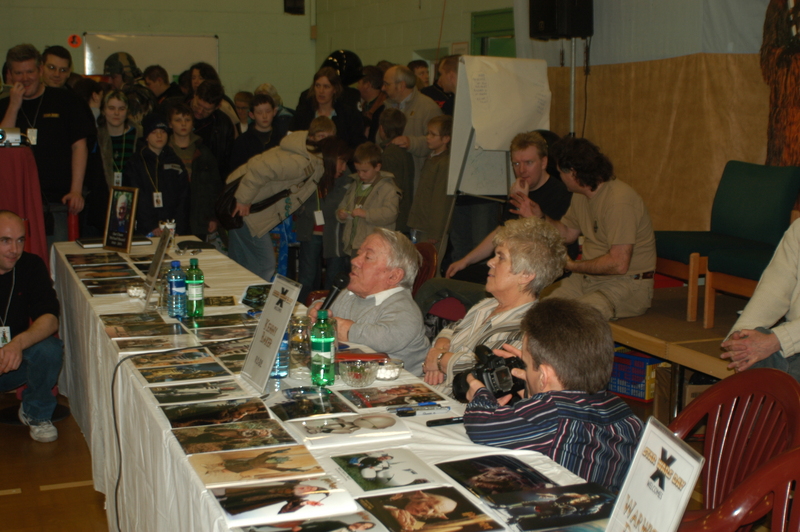 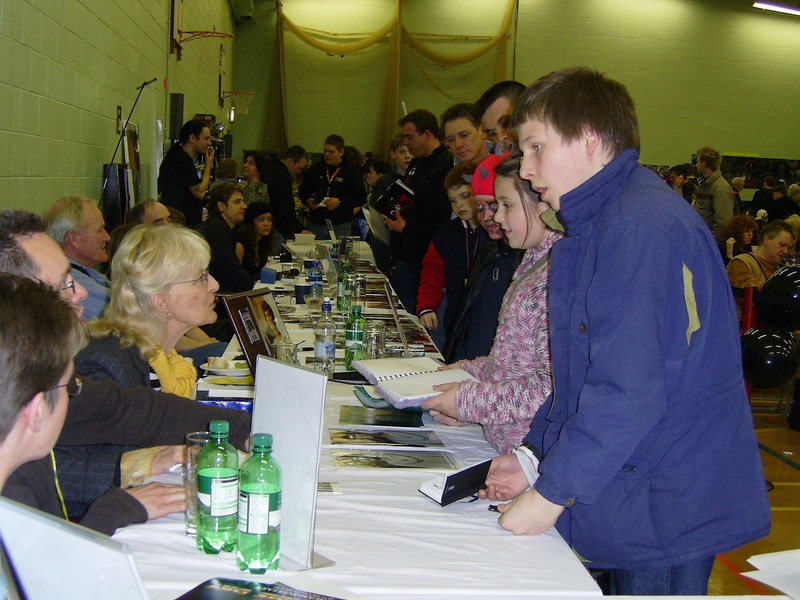 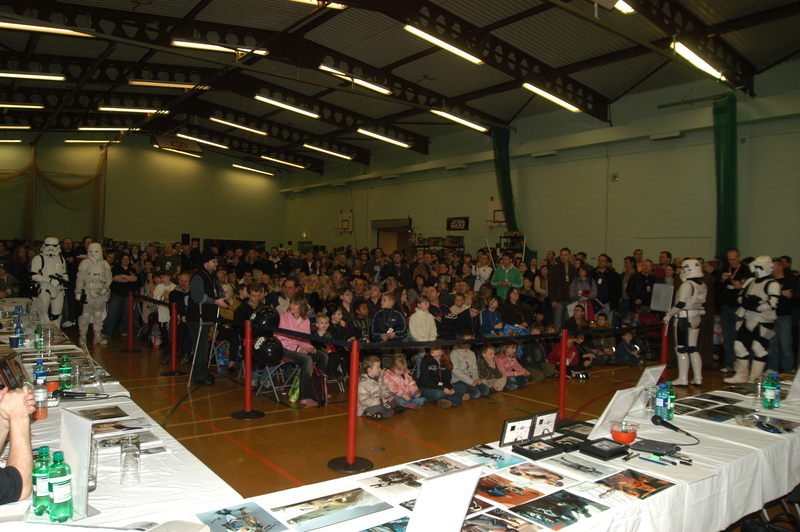 The lengthy queue for autographs showed just how popular the special guests were, and the opening ceremony and question and answer sessions were very well received. 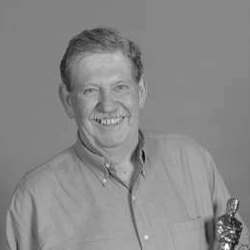 A particularly poignant moment came with the excellent video tribute to the late Michael Sheard, who had passed away the previous year. 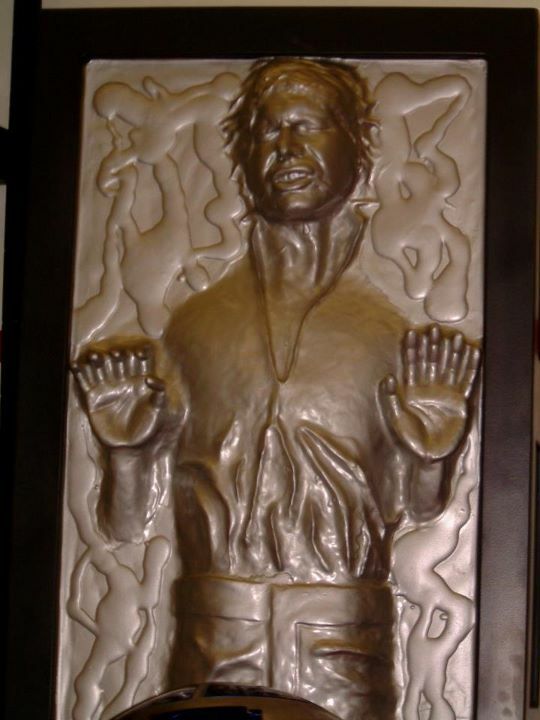 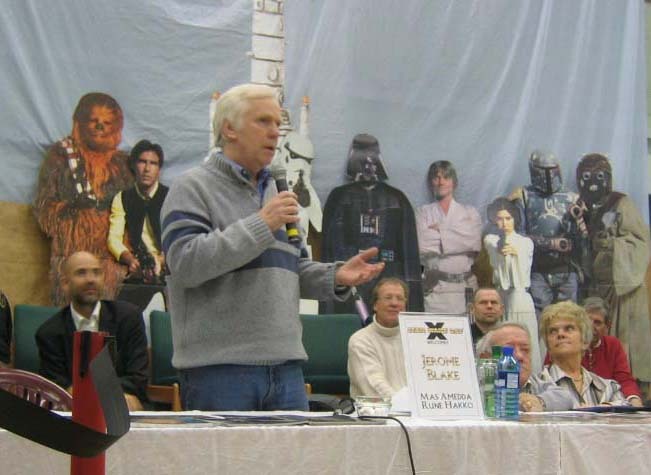 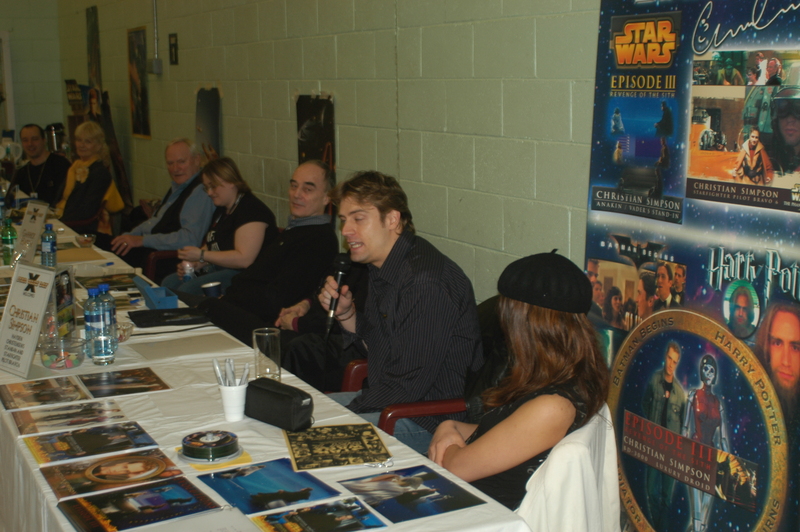 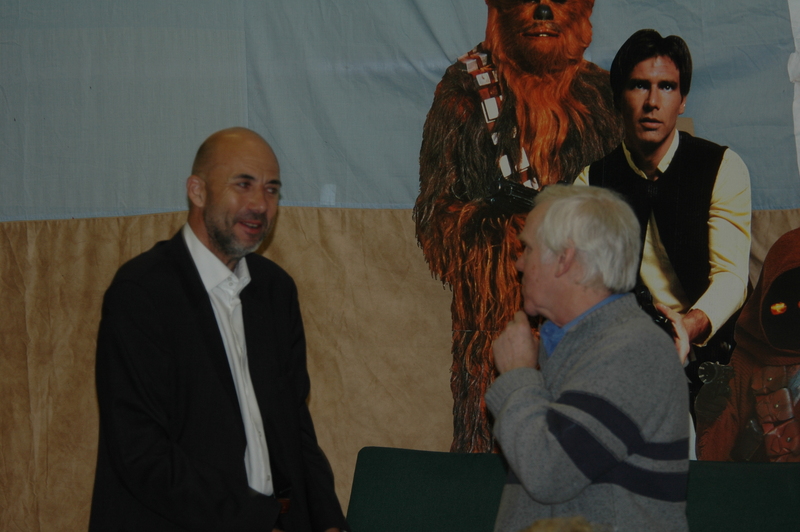 As President of the Exewing Fundraisers, Michael had attended all but one of the previous Star Wars Days, and his unmistakeable presence was much missed. 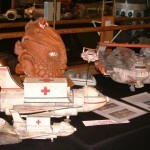 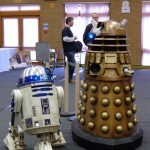 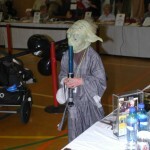 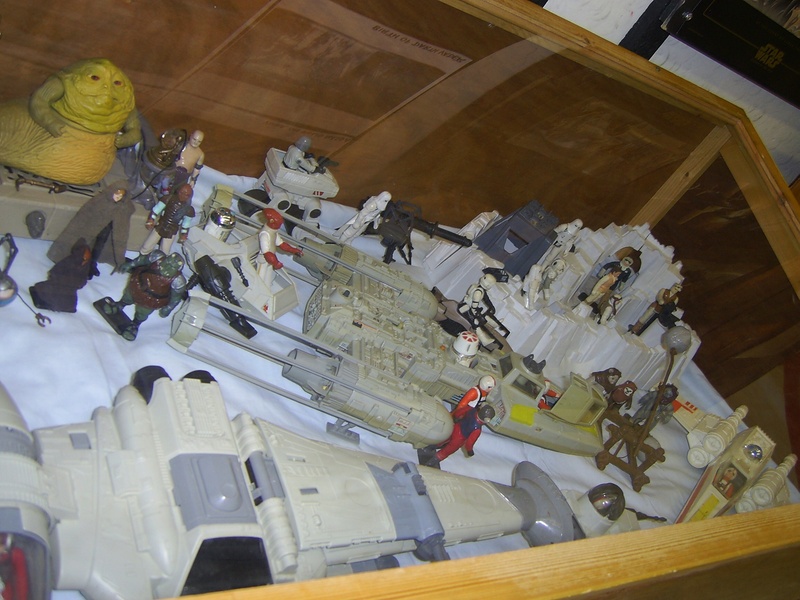 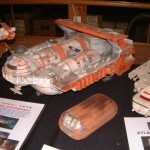 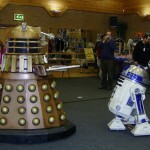 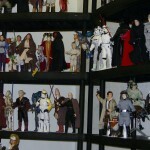 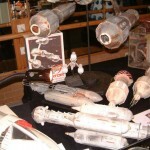 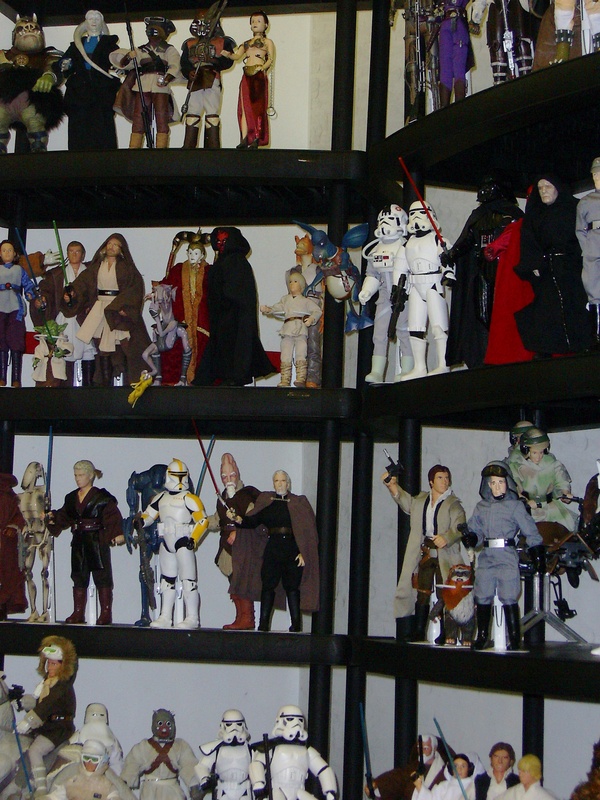 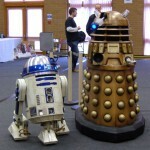 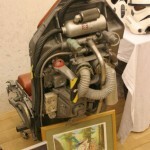 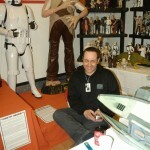 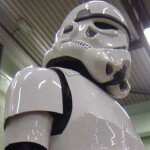 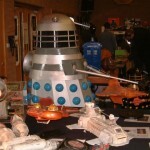 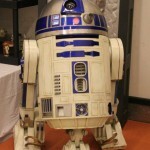 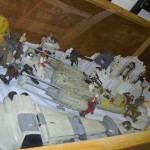 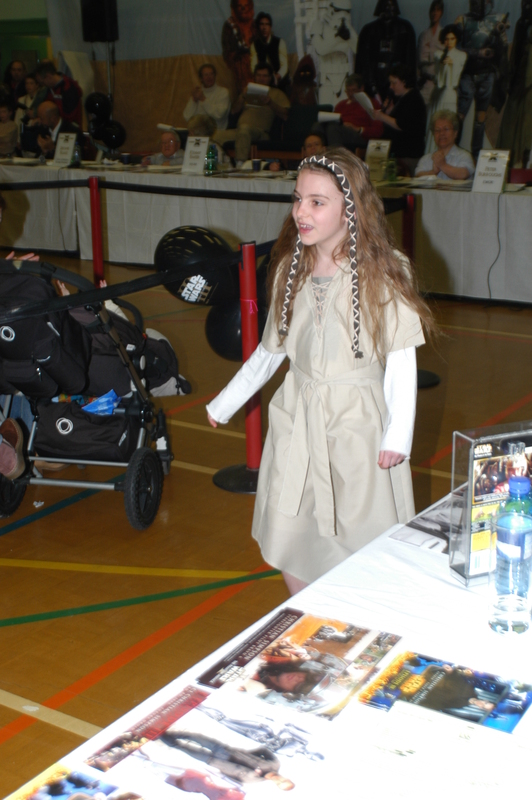 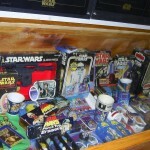 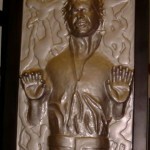 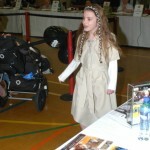 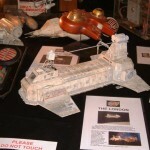 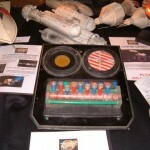 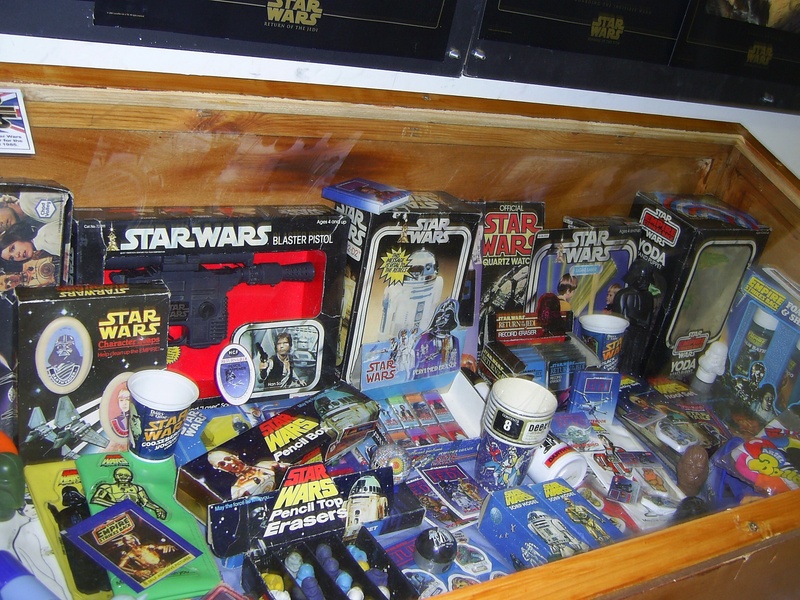 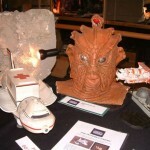 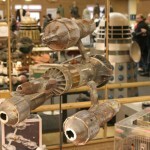 The fantastic displays of collectibles, memorabilia and props were a particular highlight of Star Wars Day X. 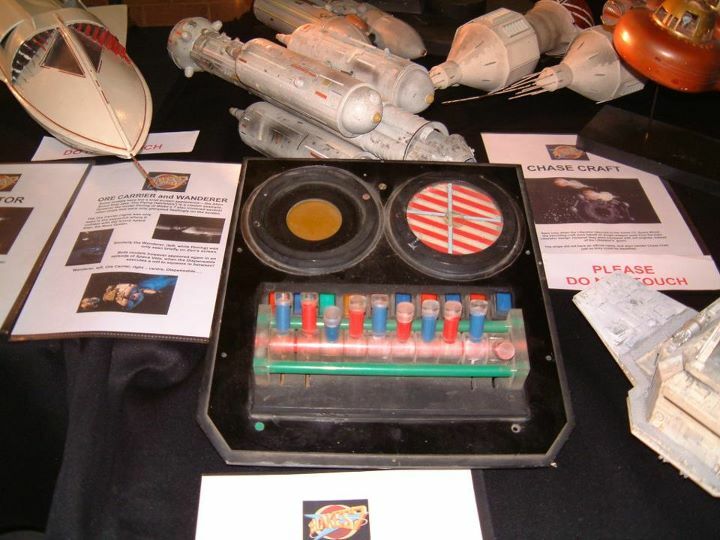 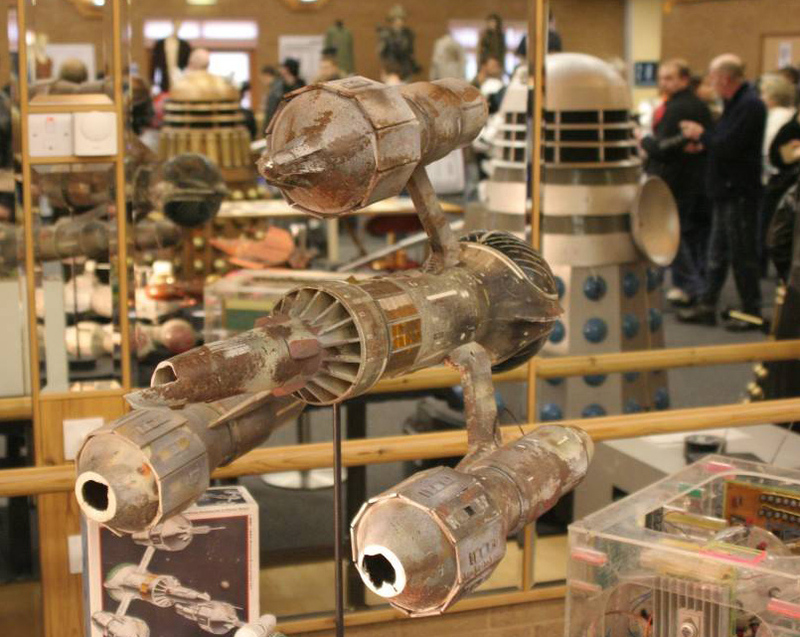 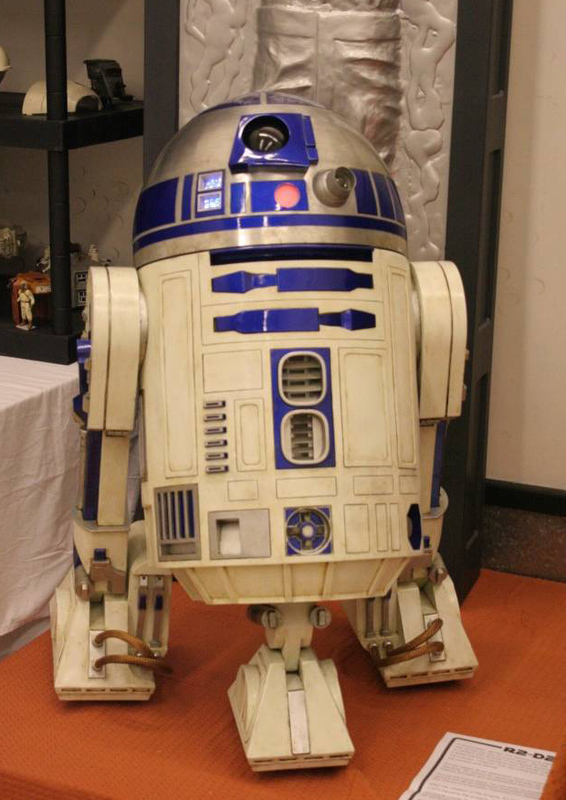 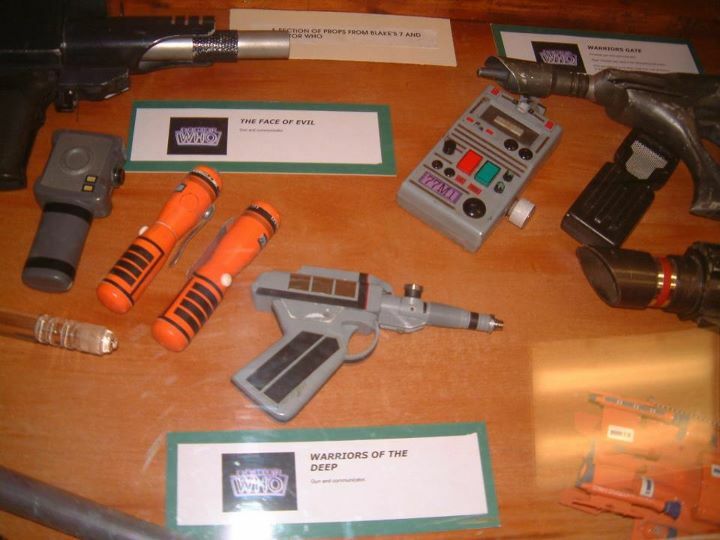 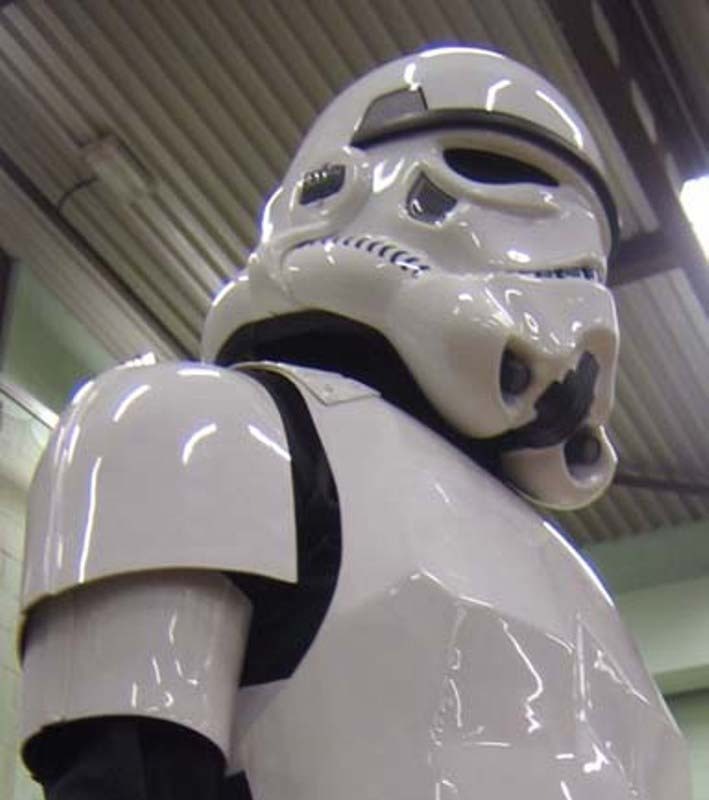 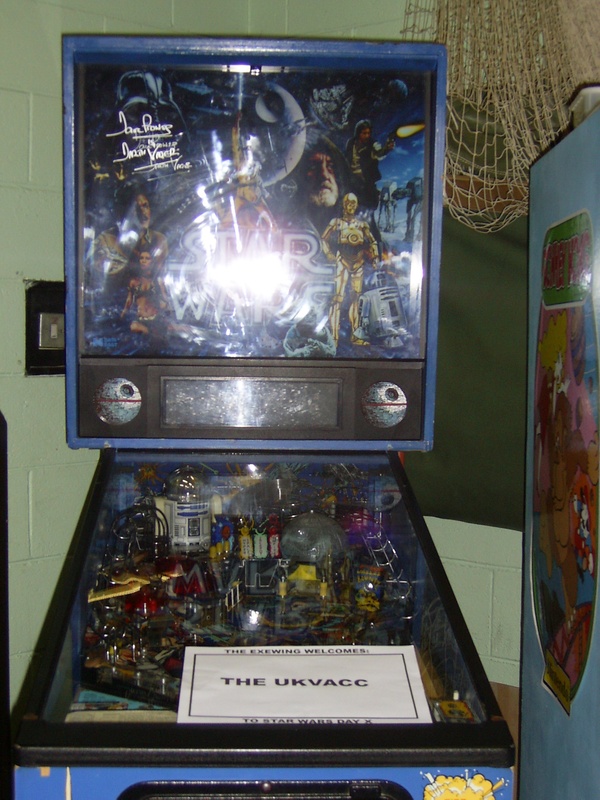 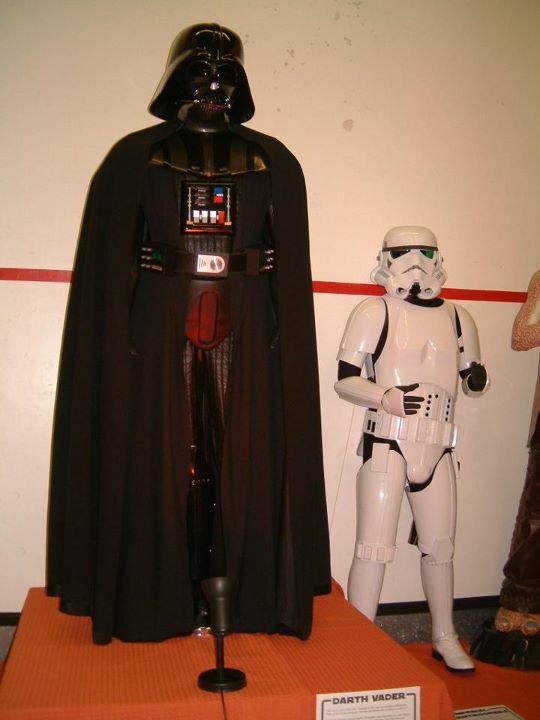 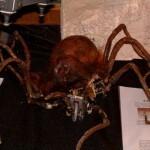 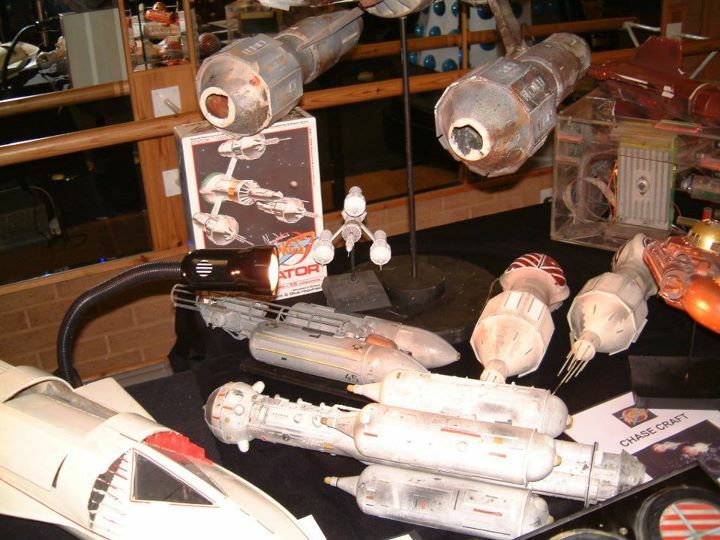 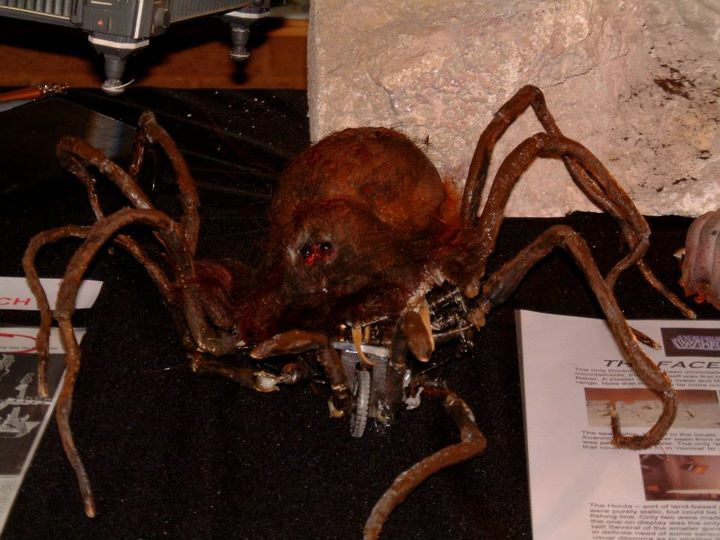 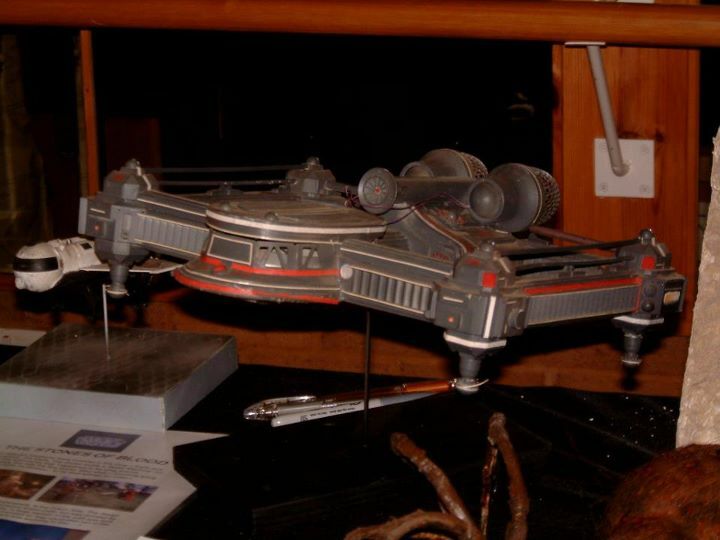 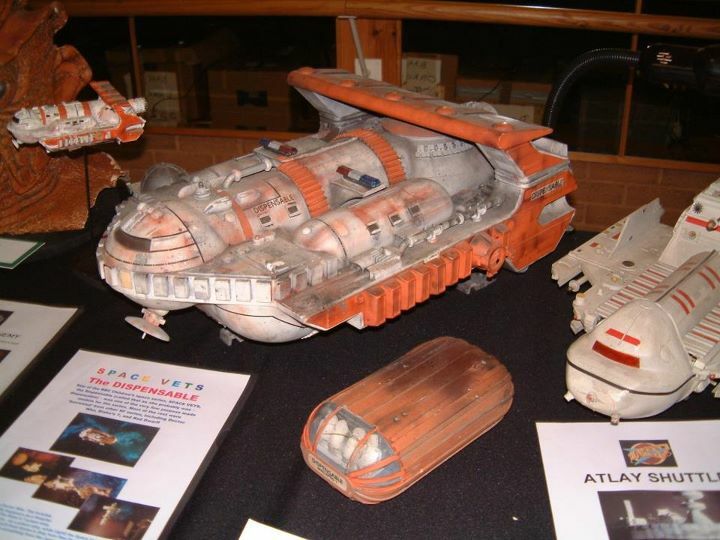 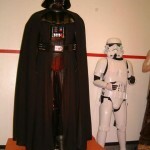 Adding to the displays of Star Wars costumes, toys and other memorabilia, we were honoured that two of the outstanding science fiction collections in the UK were on show. 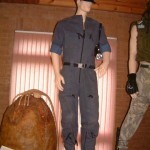 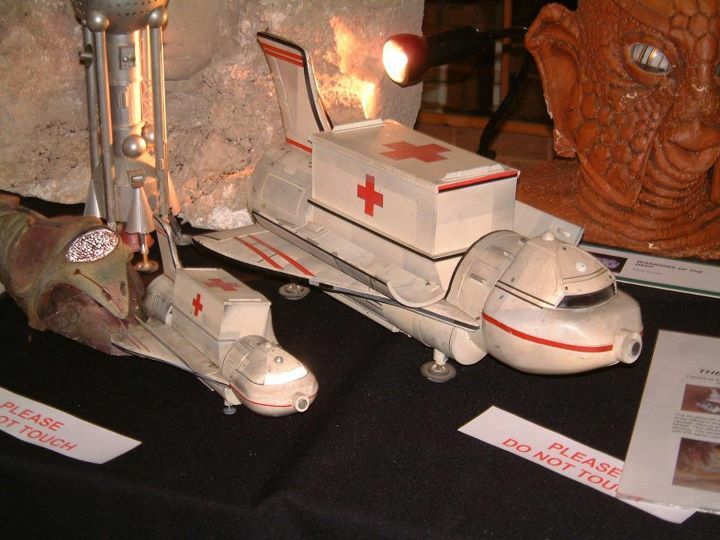 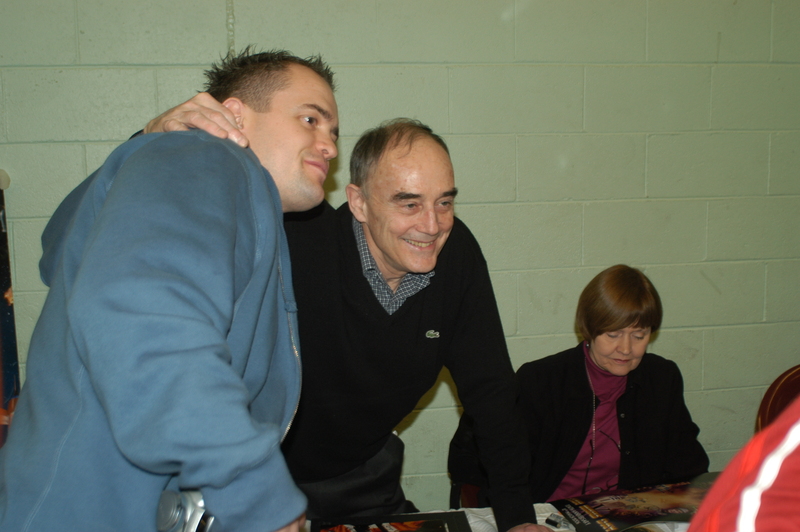 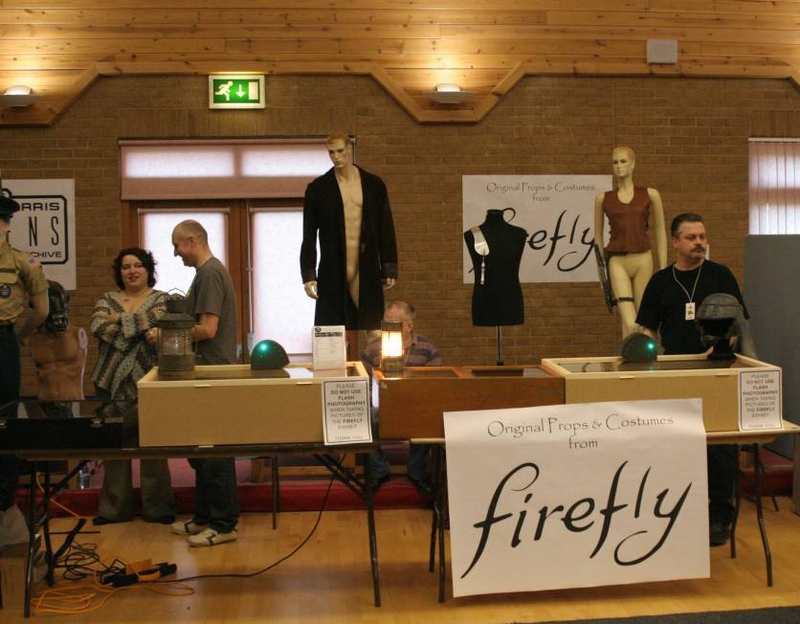 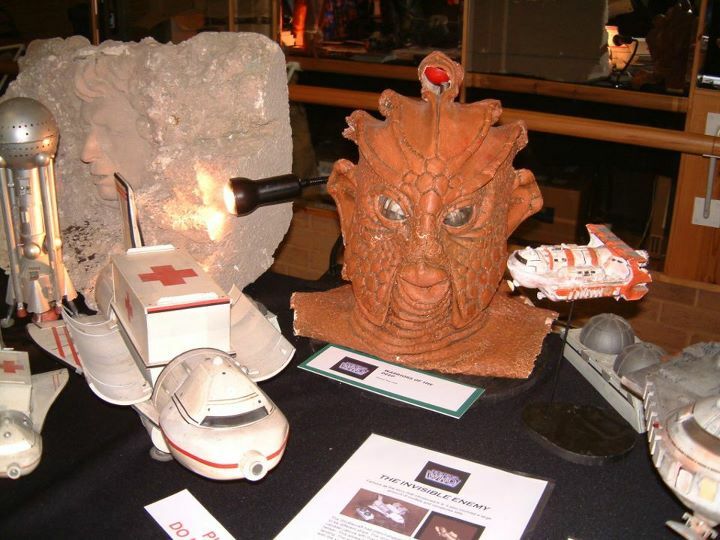 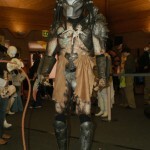 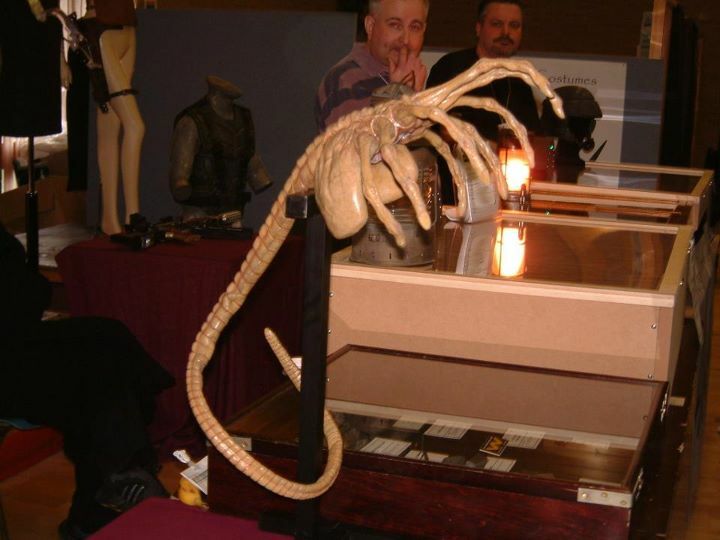 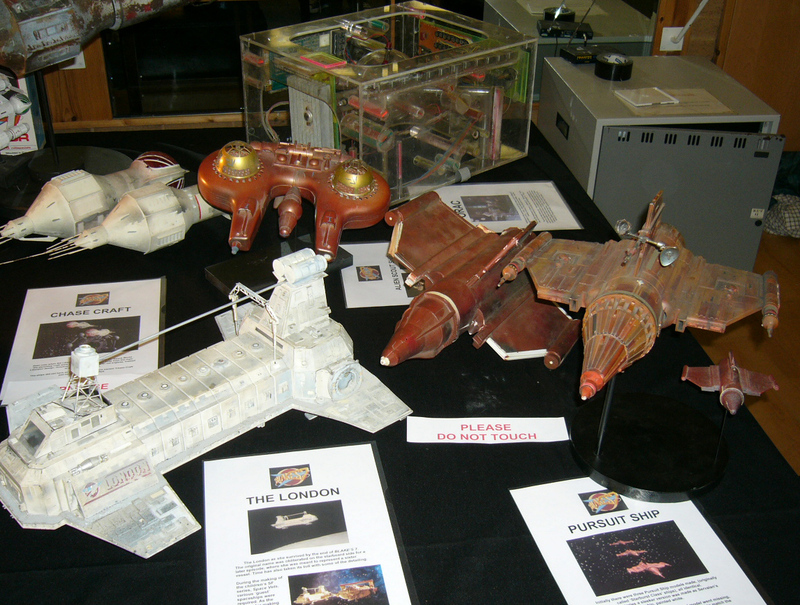 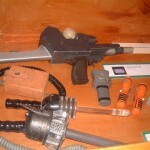 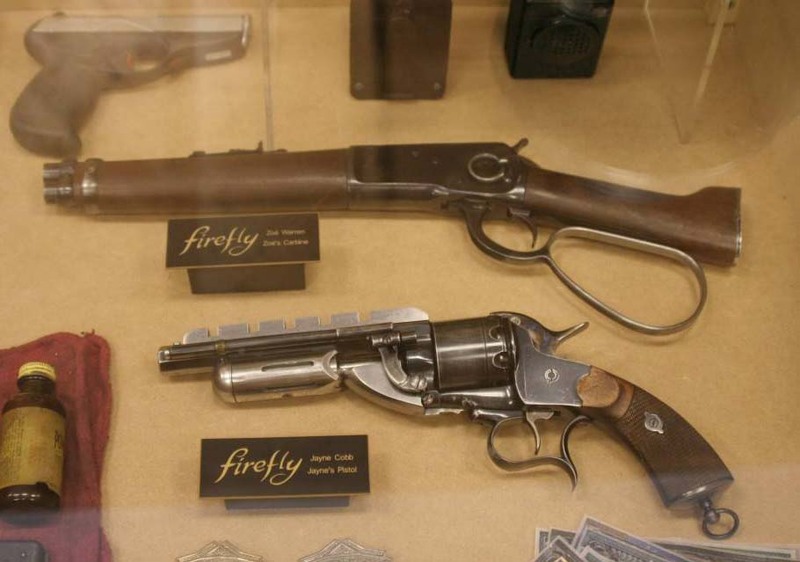 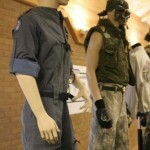 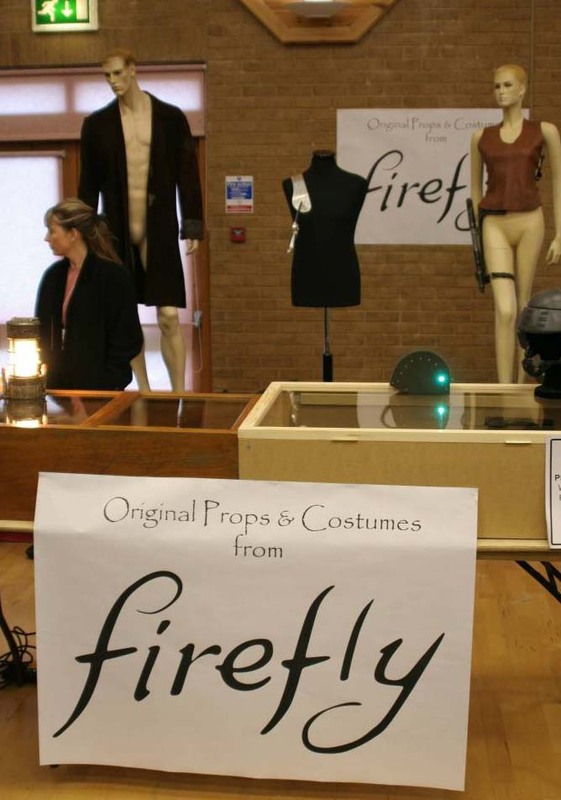 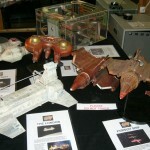 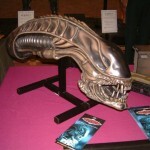 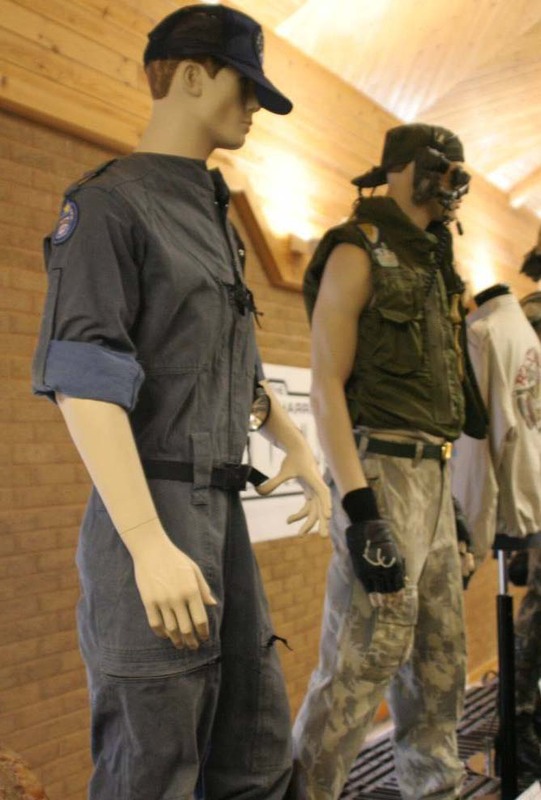 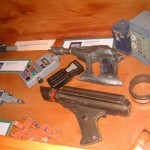 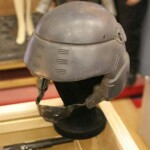 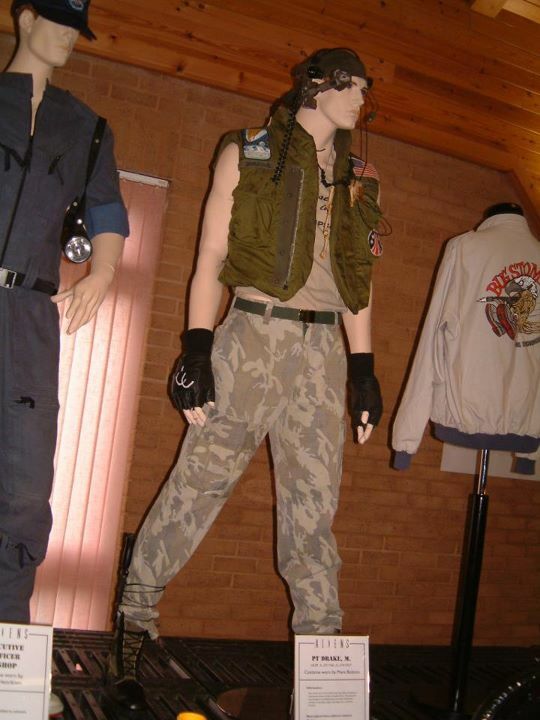 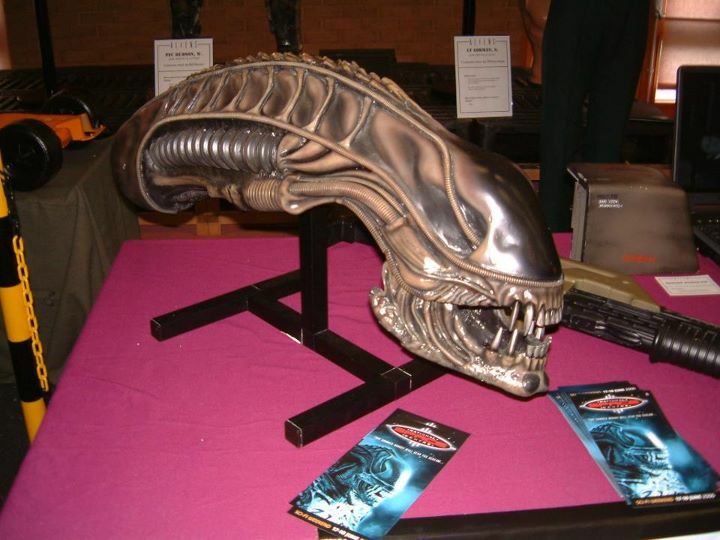 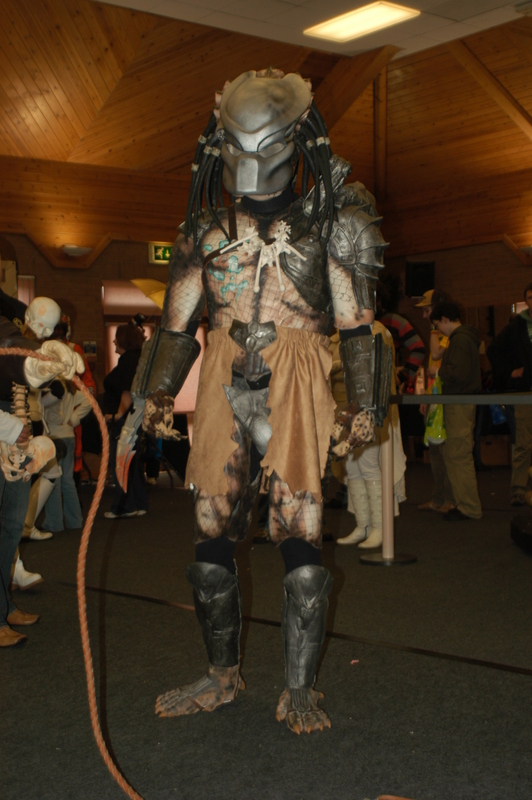 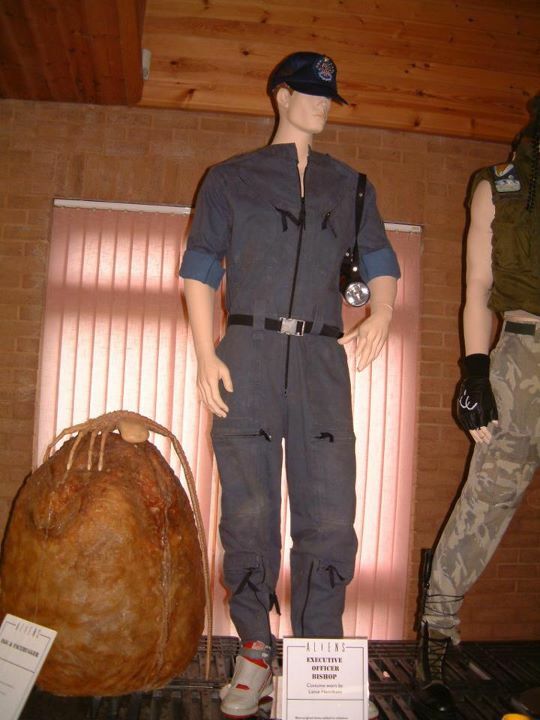 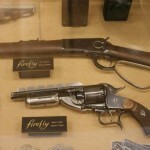 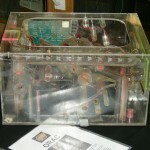 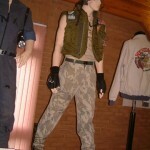 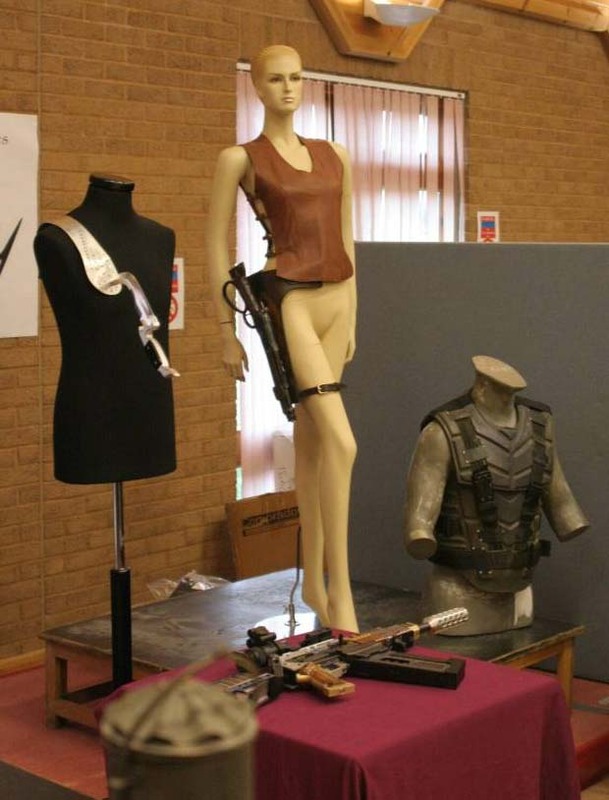 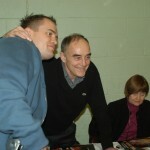 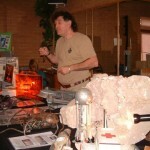 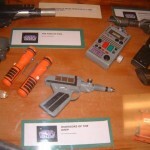 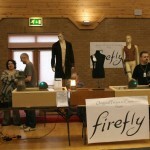 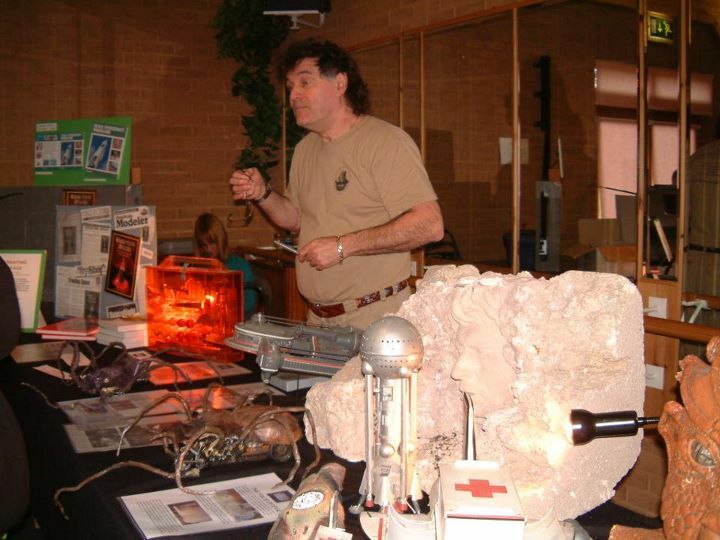 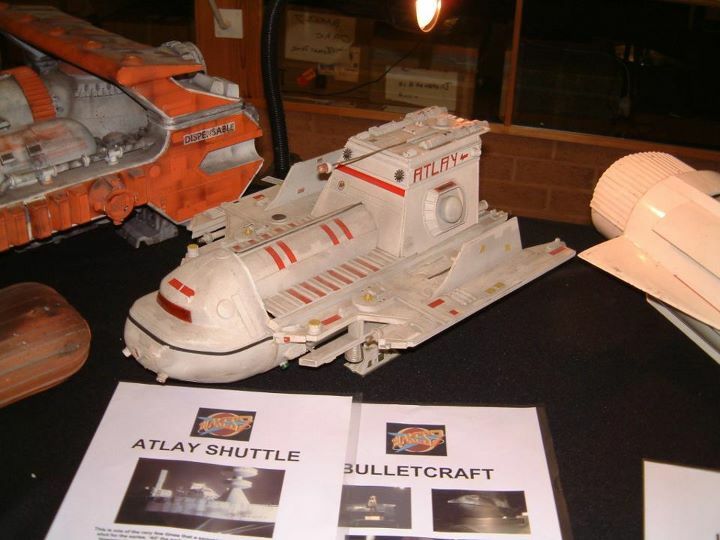 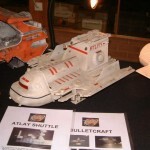 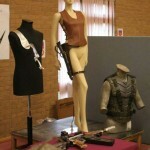 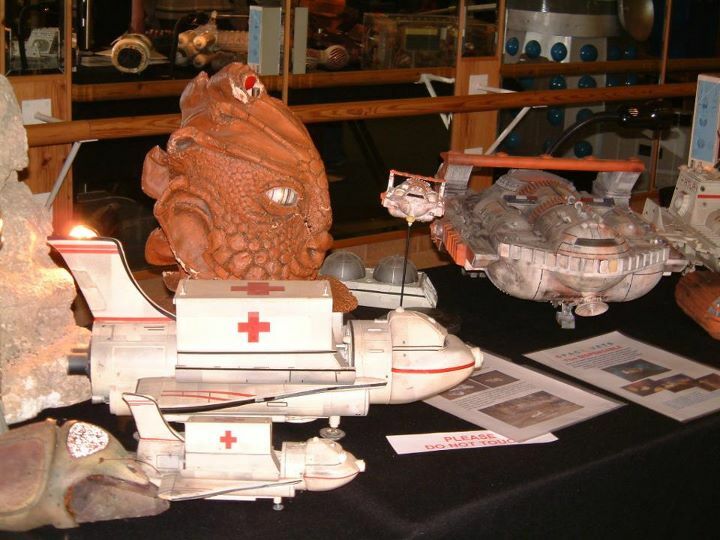 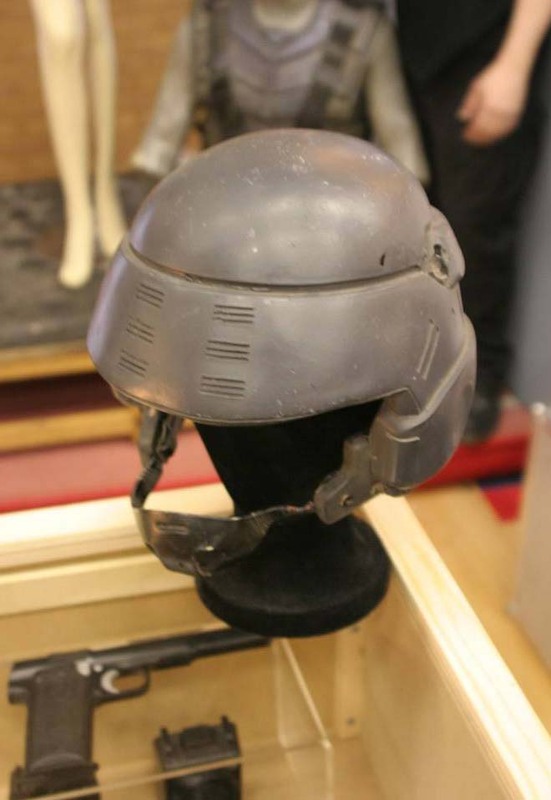 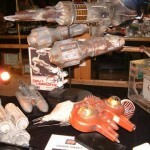 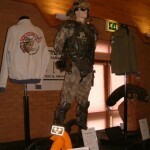 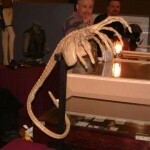 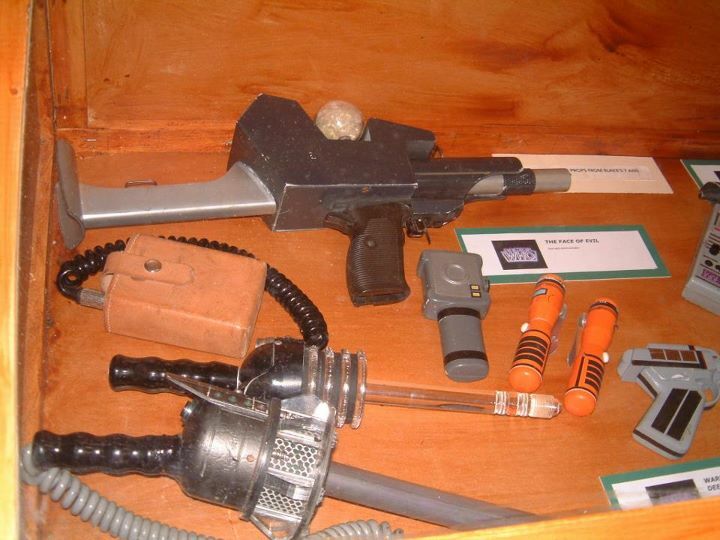 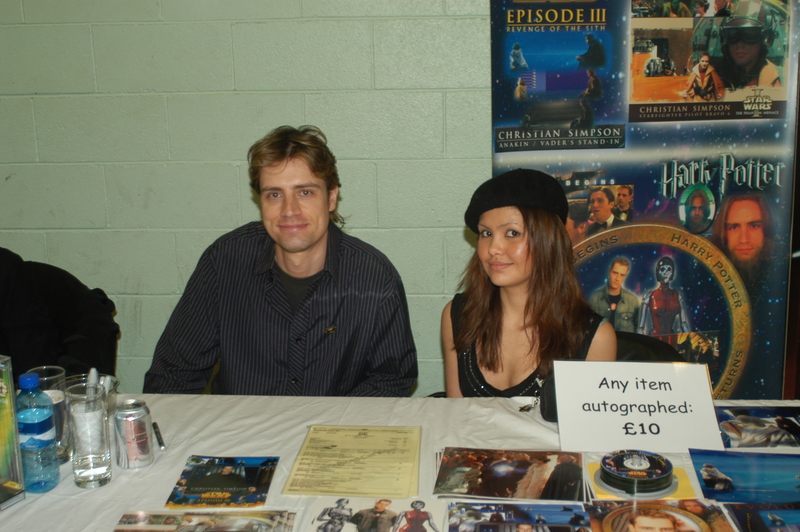 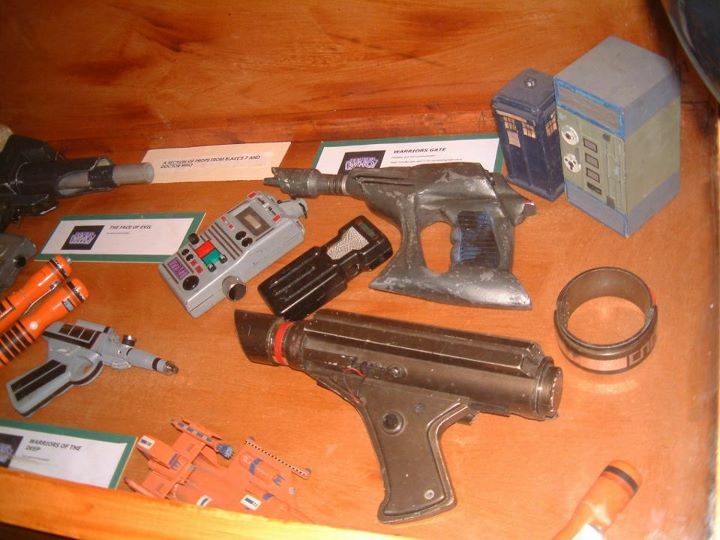 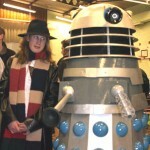 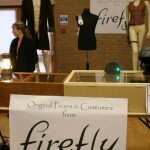 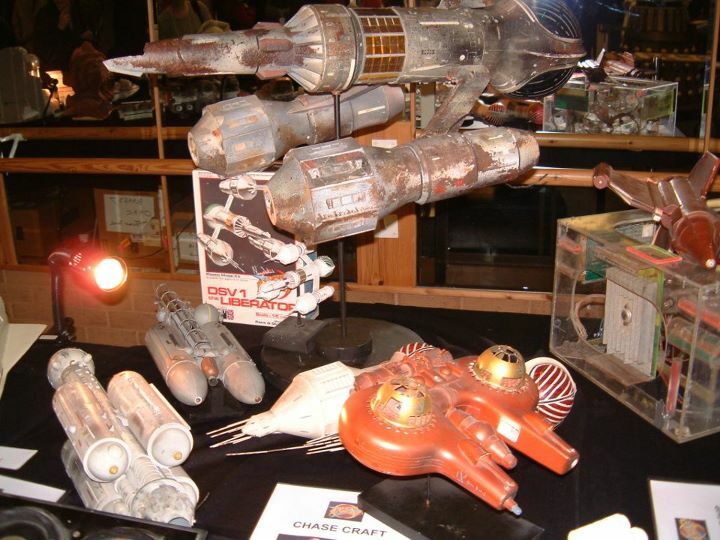 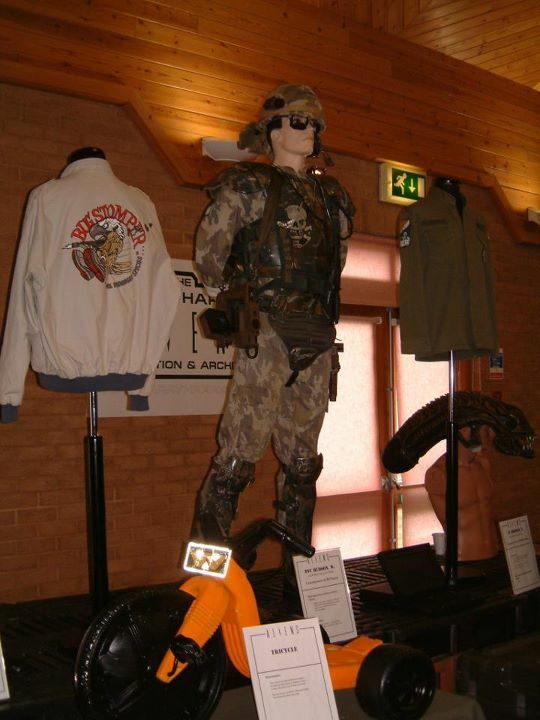 Karl Derrick brought many of his costume and prop pieces from the popular television show Firefly, whilst Harry Harris displayed screen used weapons, props and costumes from James Cameron’s Aliens movie. 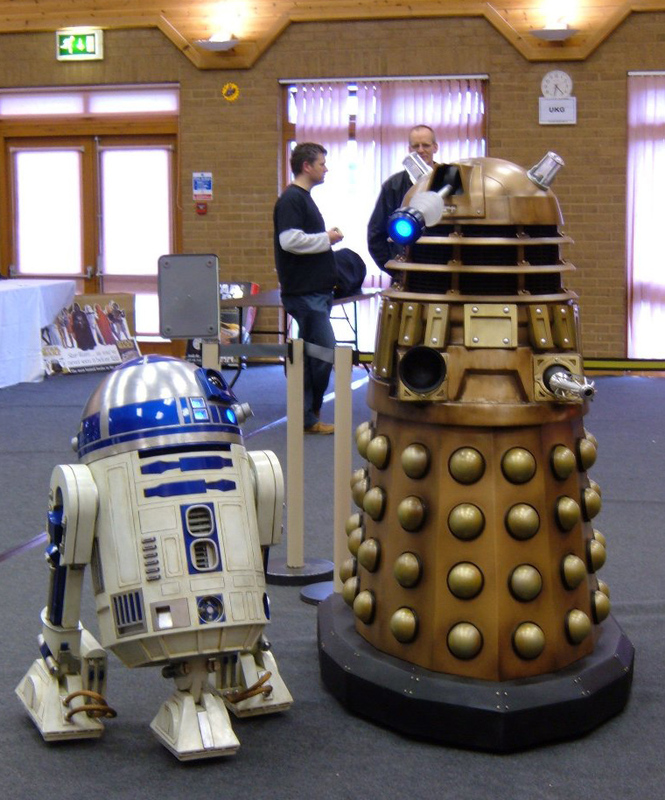 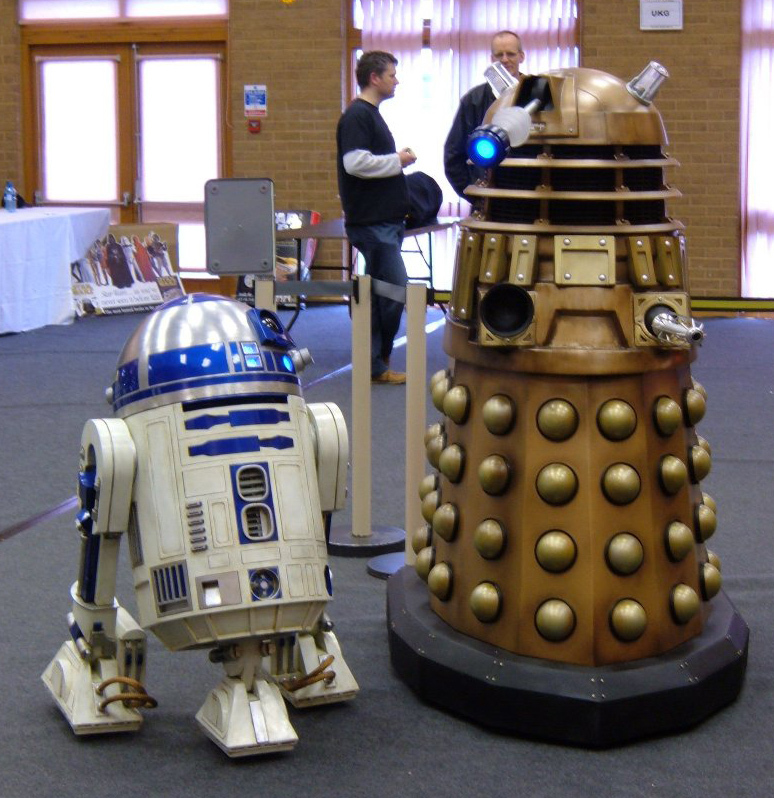 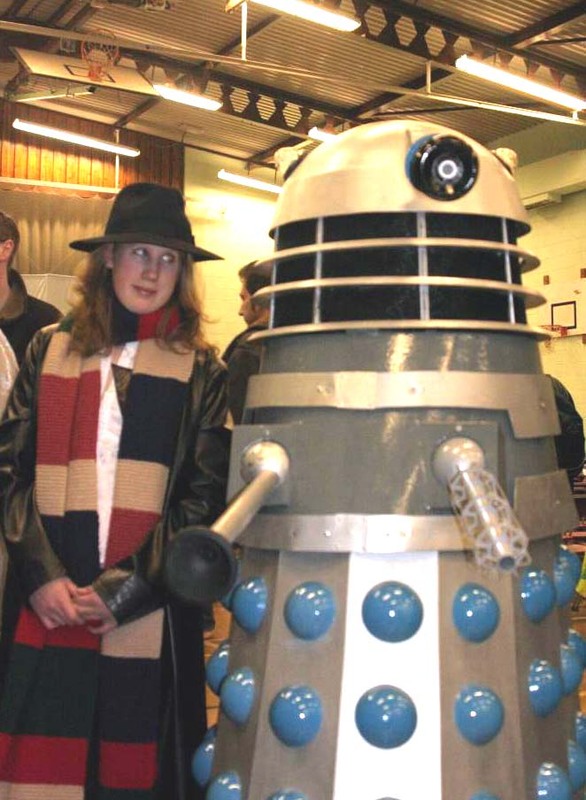 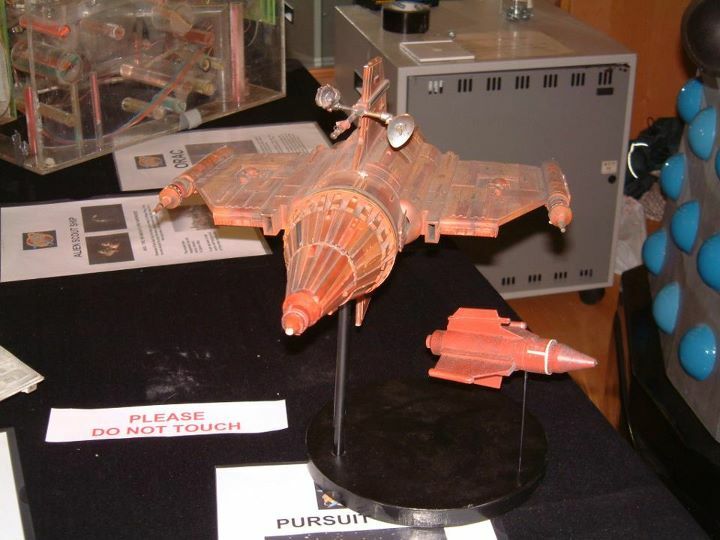 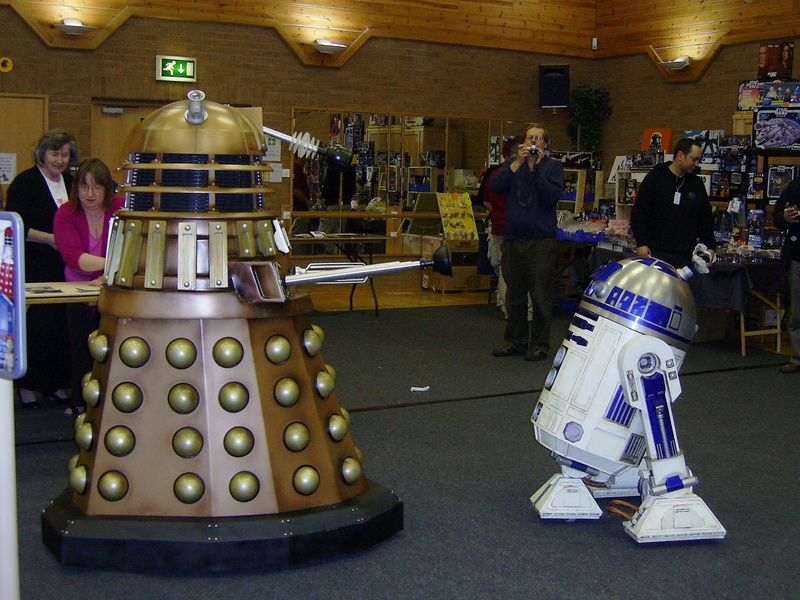 An exclusive for Star Wars Day was the unveiling of the stunning New Series Dalek replica made by This Planet Earth, whilst Vaughan Herriott’s superb model display and the artwork by Airworks Art, who worked all day in preparing a huge airbrushed painting, were very popular. 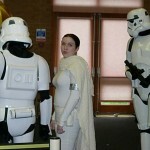 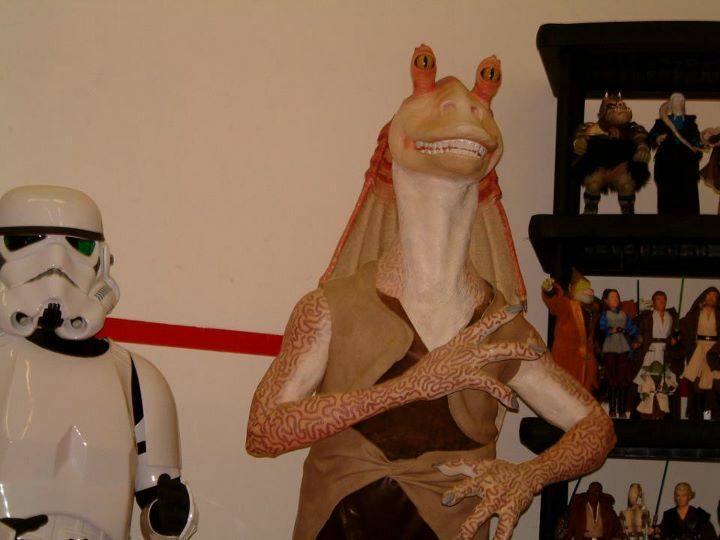 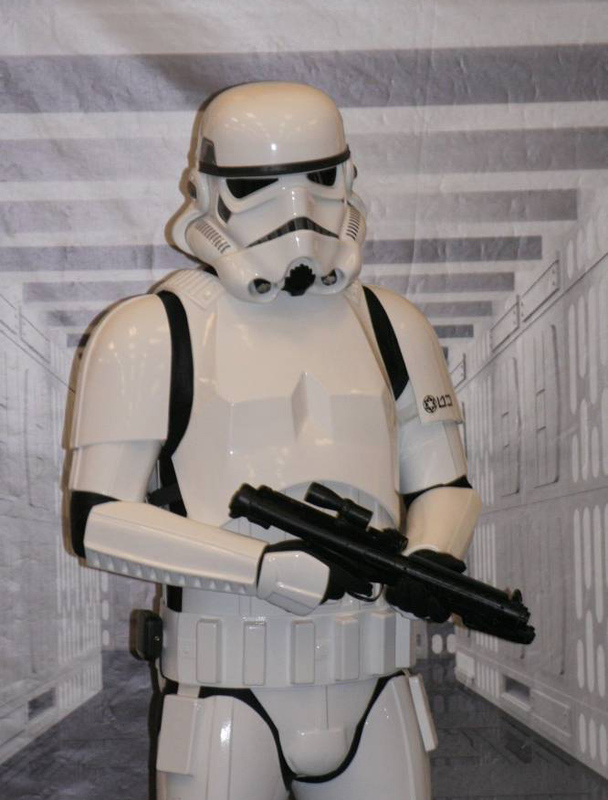 Star Wars characters were well in evidence, thanks to the UK Garrison and others. 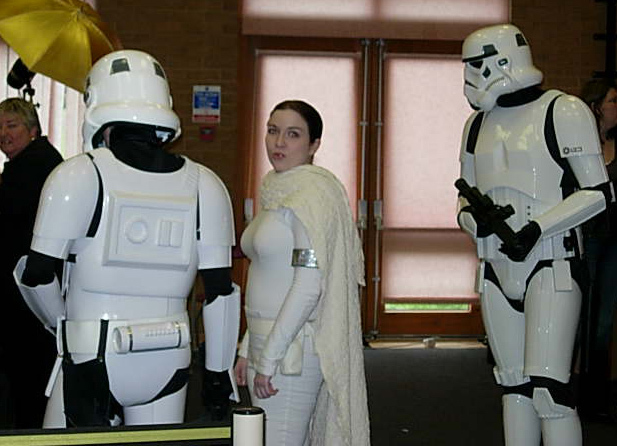 Stormtroopers, bounty hunters, Dark Lords of the Sith and others strode the halls all day, keeping order, menacing attendees, posing for photographs and generally making a nuisance of themselves! 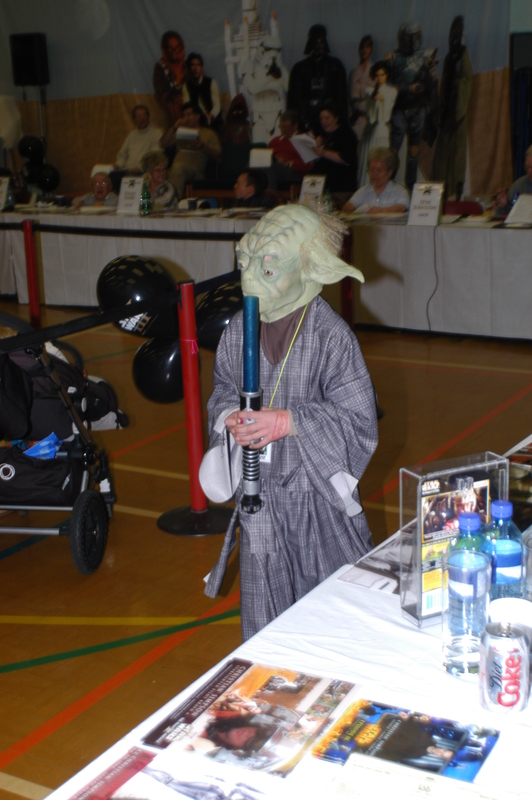 Other costumes were on display in the fancy dress competition, which reached new heights in the number of entries and the quality of the work that had gone into many of the outfits. 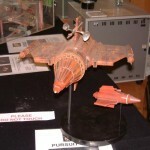 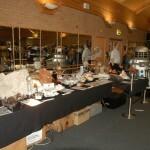 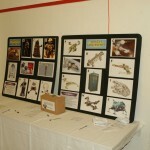 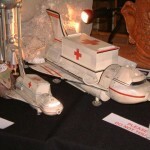 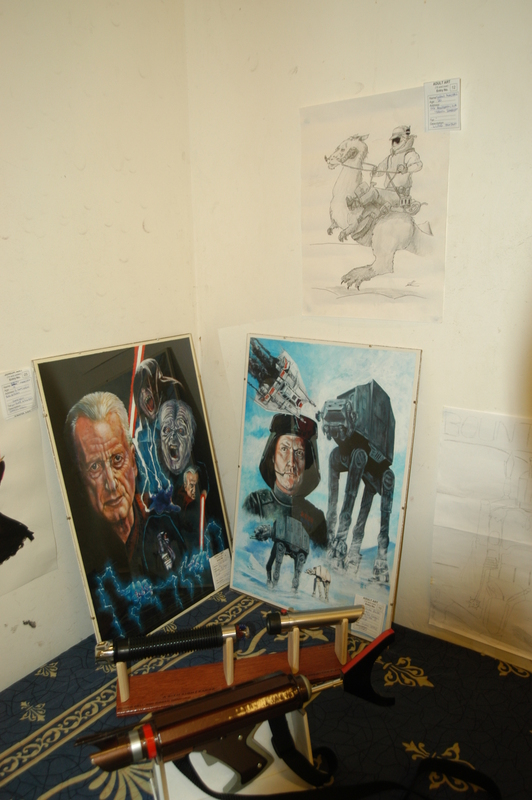 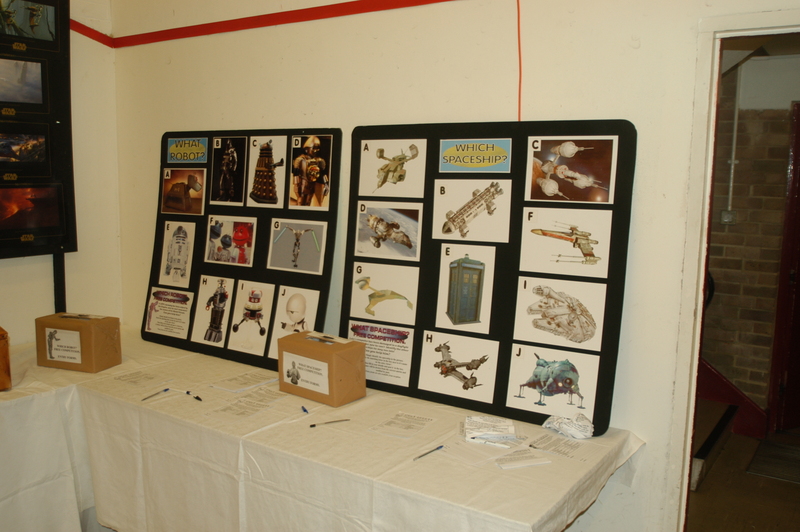 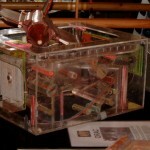 The artwork on display in the art and model competitions was also ‘most impressive’. 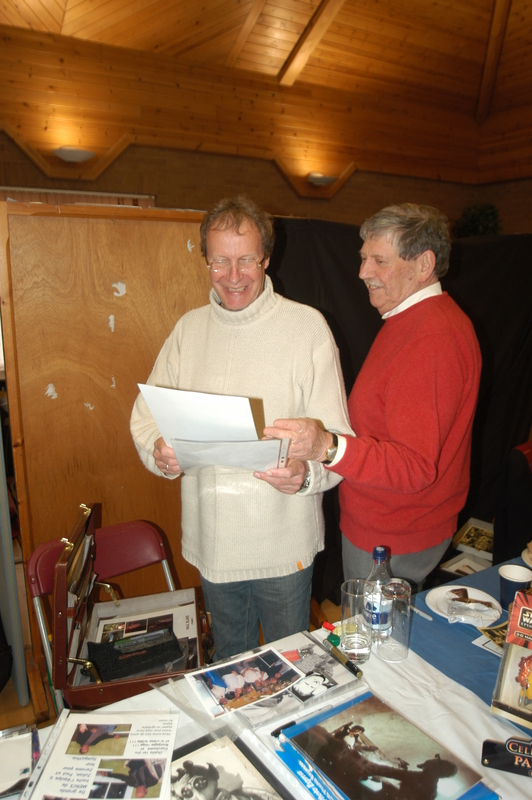 The usual array of games, competitions, vintage arcade machines and a video programme ensured that there was plenty to keep everyone busy, and the Exewing Quiz was a popular diversion at lunch time. 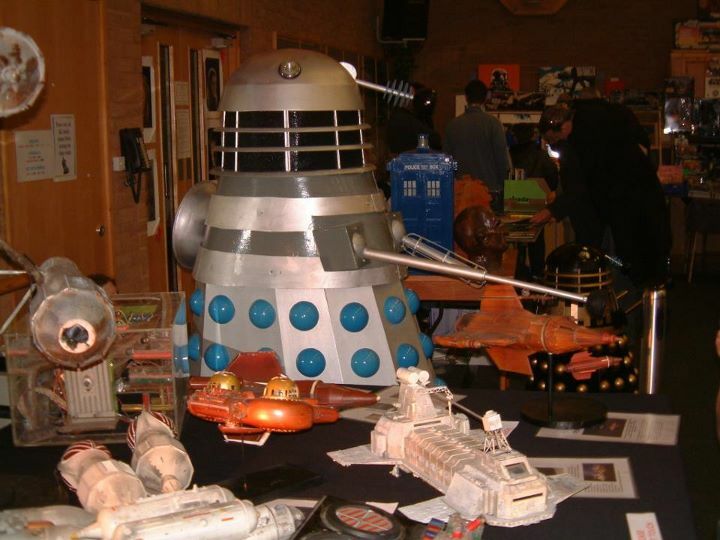 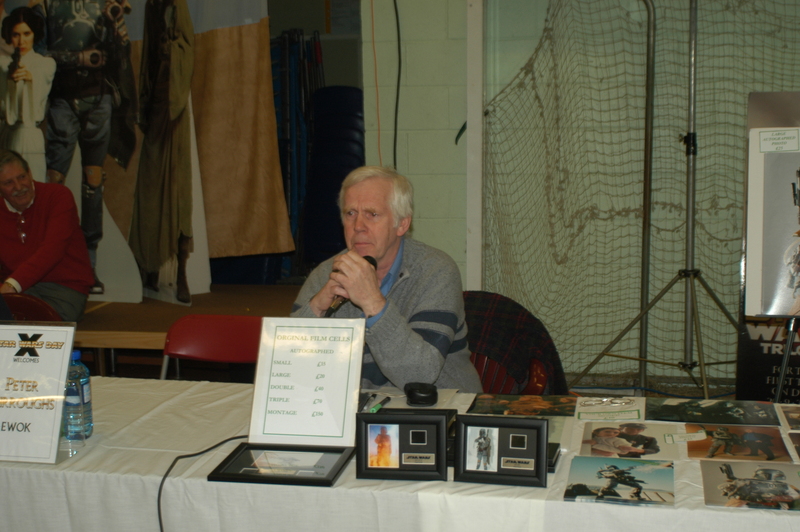 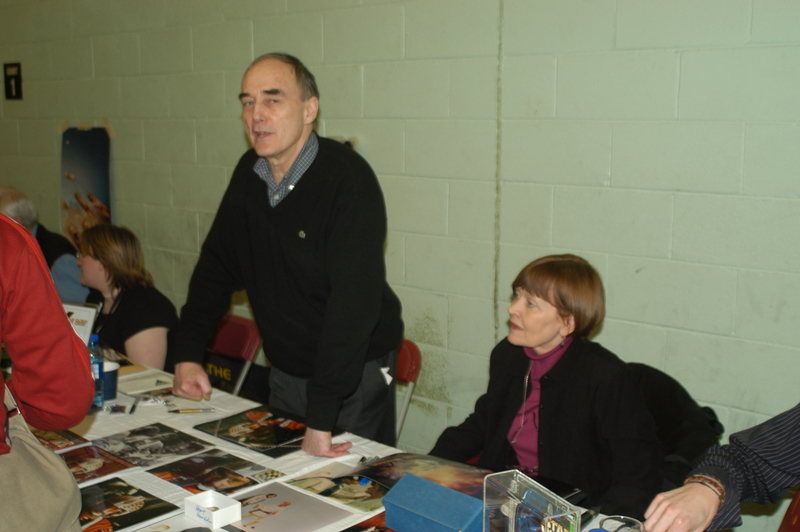 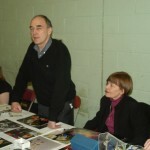 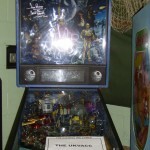 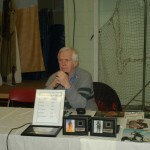 The dealers did not let the side down either; an incredible range of merchandise was on offer, with items to interest casual fans and die-hard collectors alike. 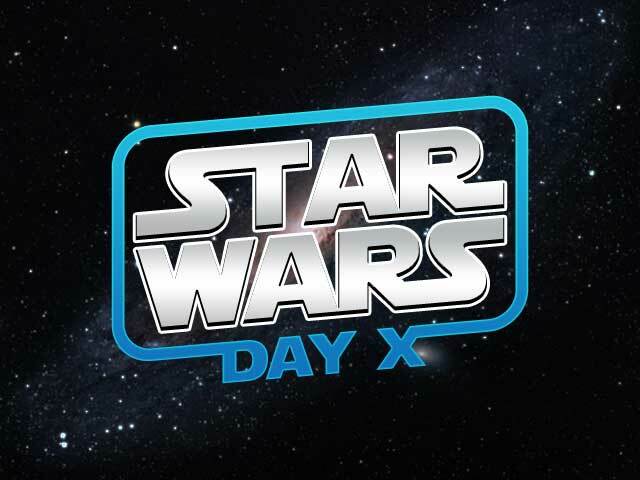 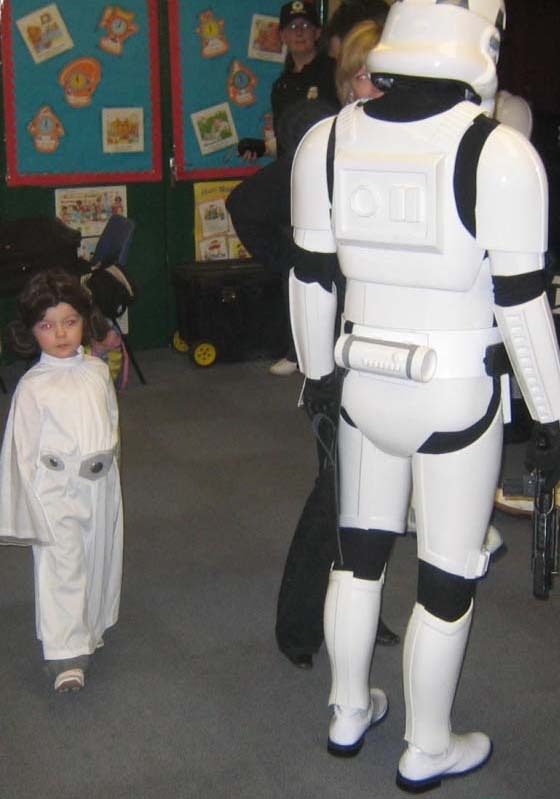 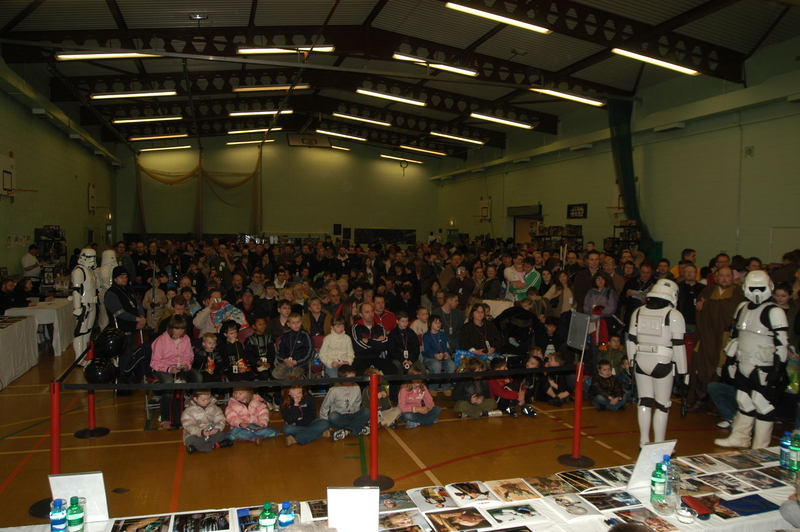 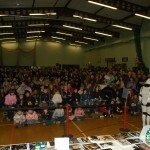 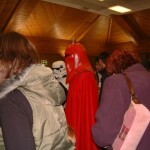 By the time the doors closed at 4.30pm, over 600 fans had visited Star Wars Day X, and the Exewing organisers were delighted that the feedback was overwhelmingly positive, with everyone having had a great day. 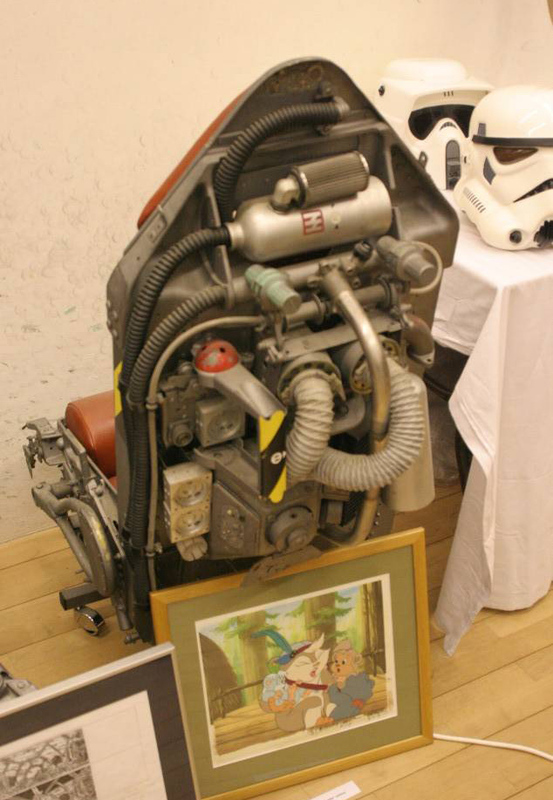 The last piece of the jigsaw was in place once the final totals were added up, and we were delighted to announce that the donation to the British Heart Foundation would be the fantastic sum of £7,700. 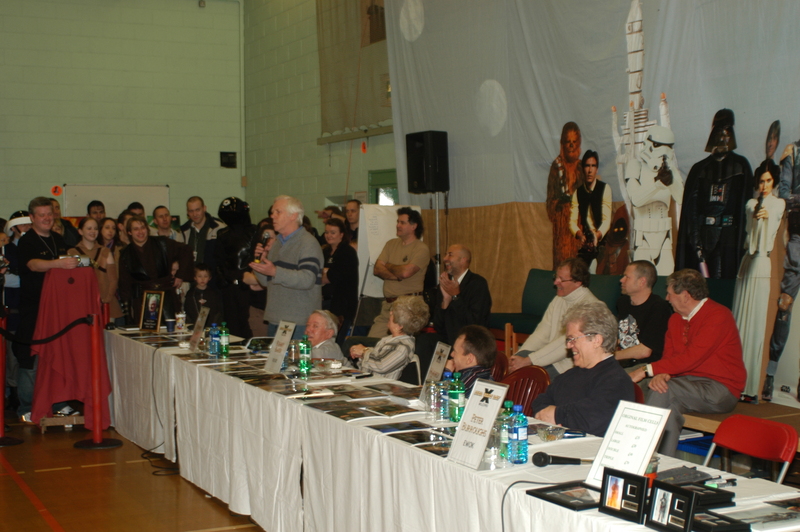 We would like to offer our heartfelt thanks to all who contributed to such a spectacular success. 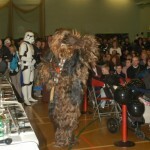 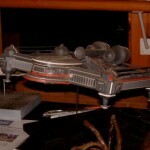 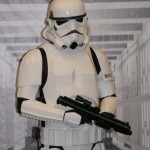 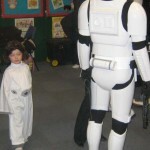 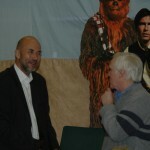 Would Star Wars Day X see the end of the Exewing Fundraisers’ activities? 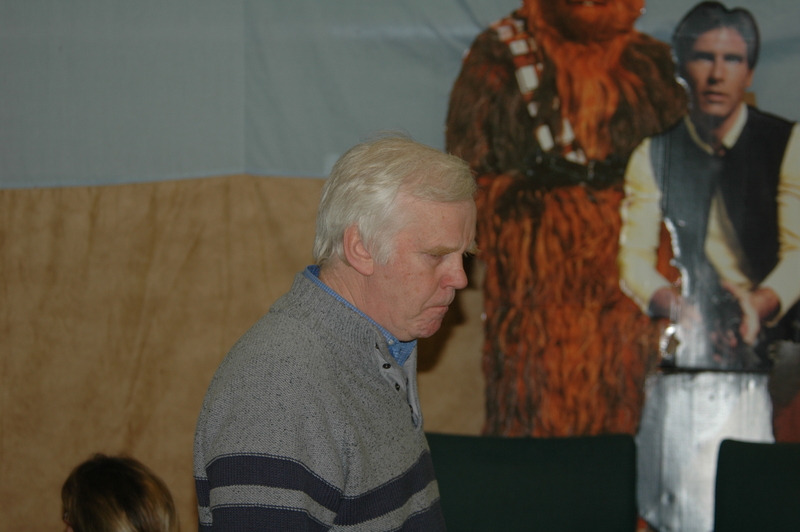 Only time would tell….